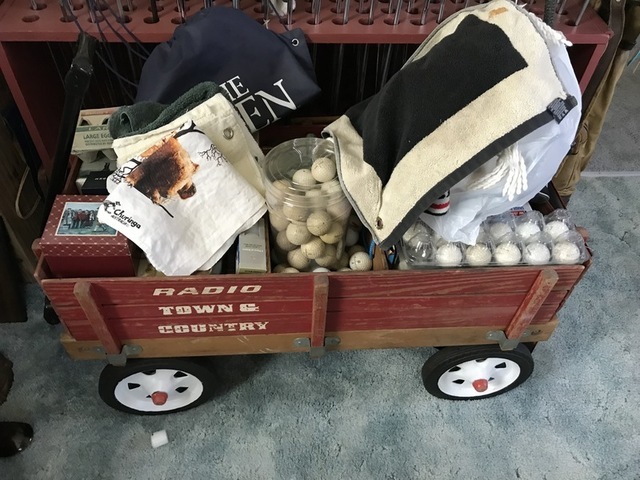 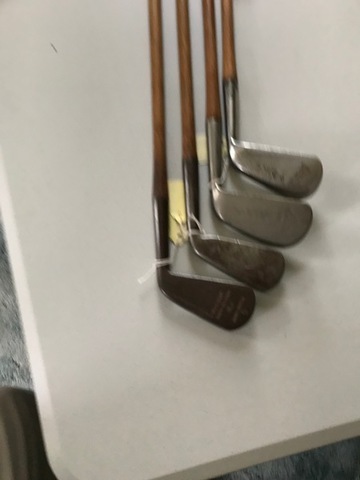 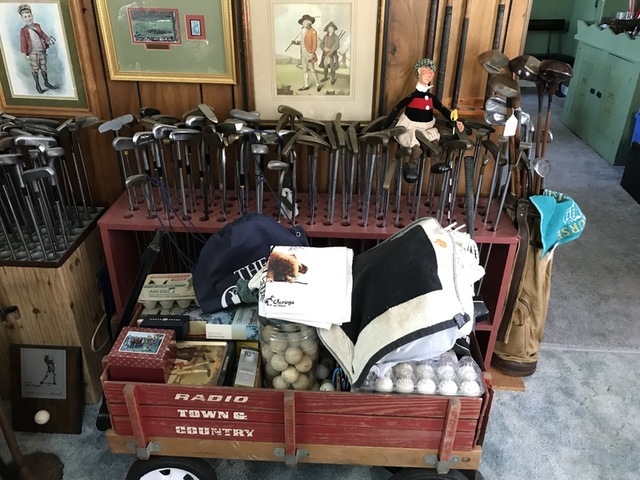 Bobby Jones 10pc left handed set, Ben Hogan short set, lots of hickory shafts-metal and some more contemporary clubs, large assortment of golf bags in canvas-leather and more modern bags, 100s of golf balls including some old signed collector balls, fun selection of artwork and sculpture depicting the sport as well. 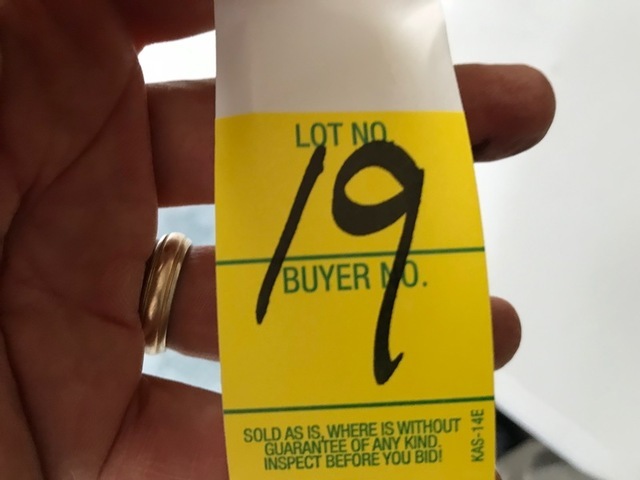 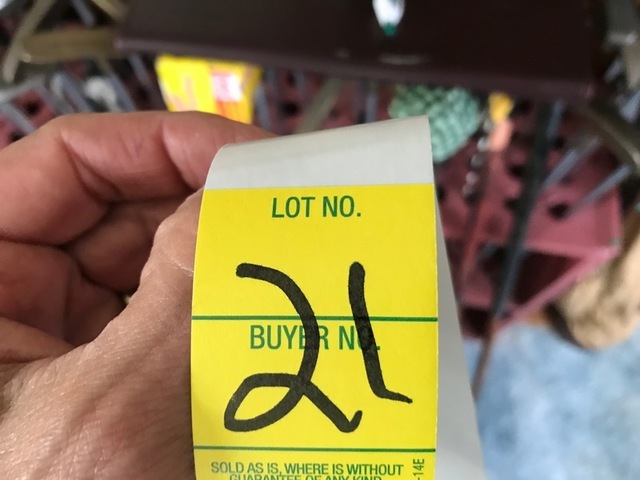 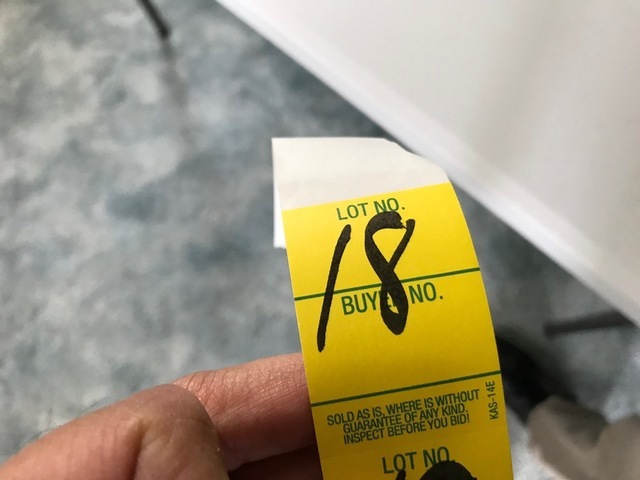 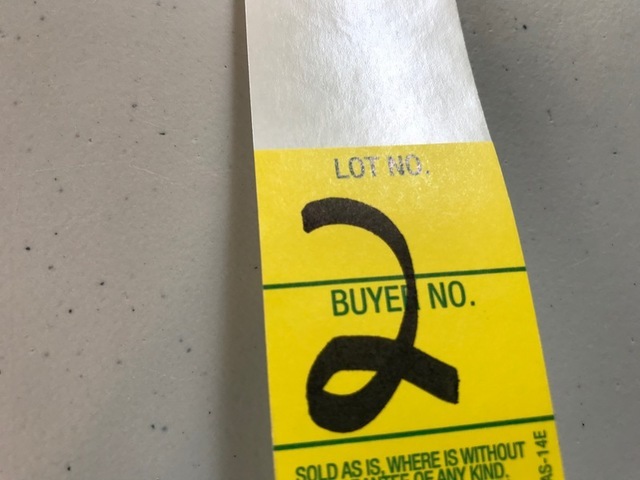 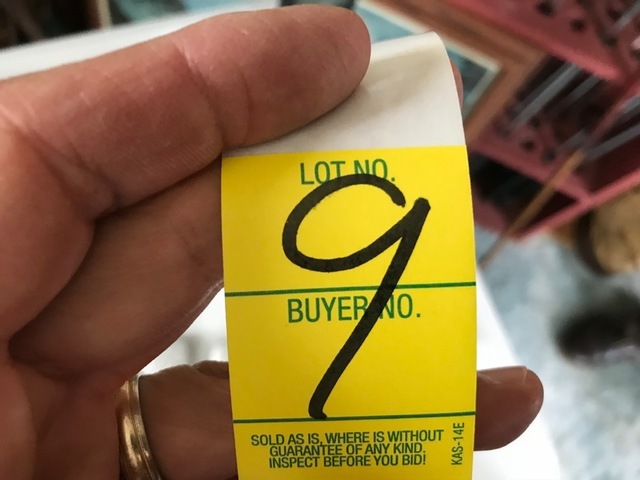 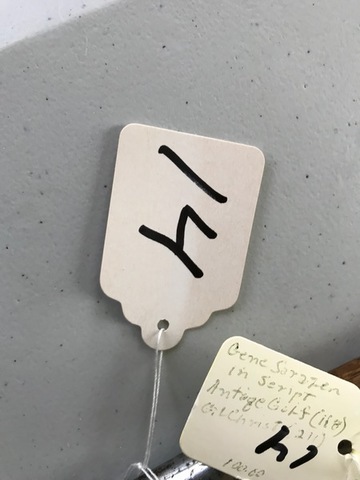 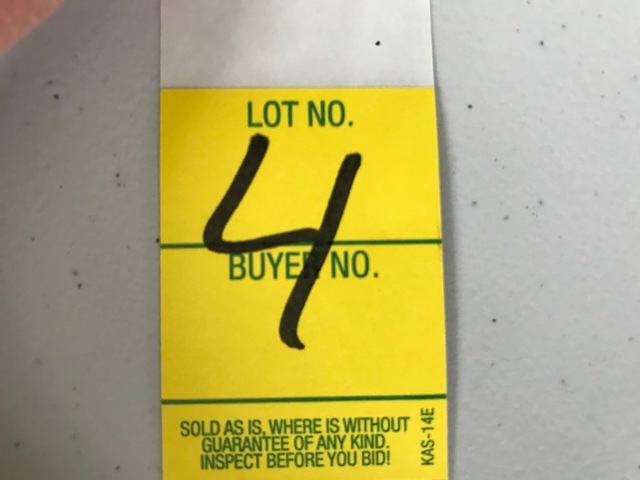 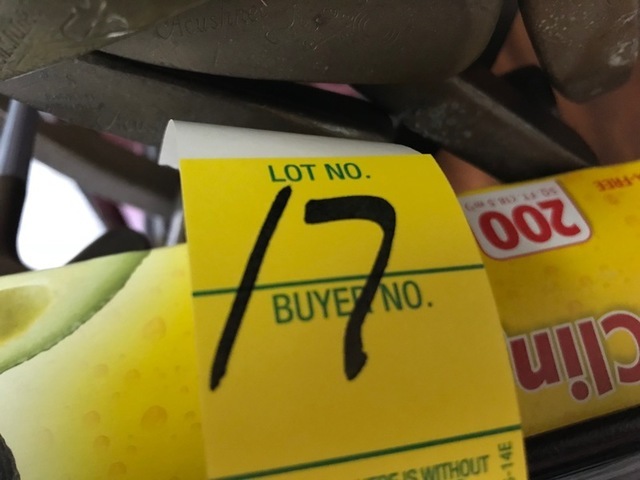 Many sold in lots or groupings. 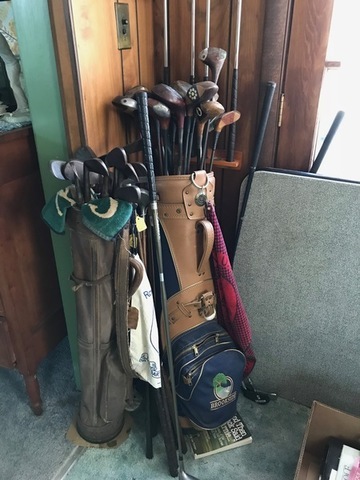 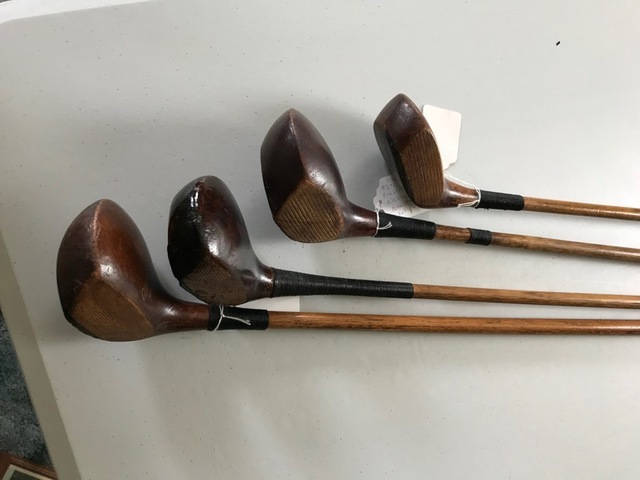 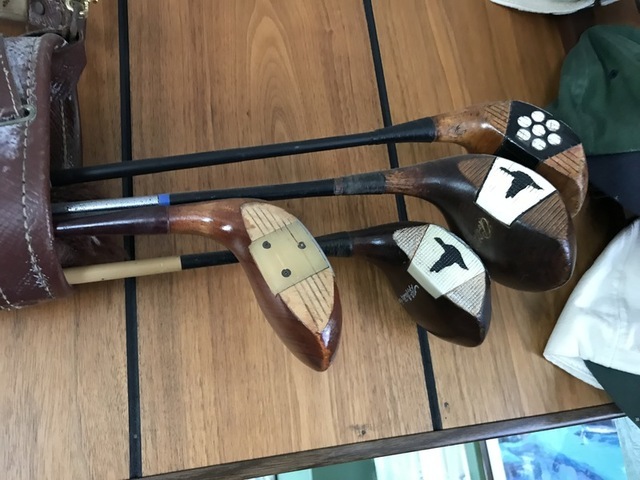 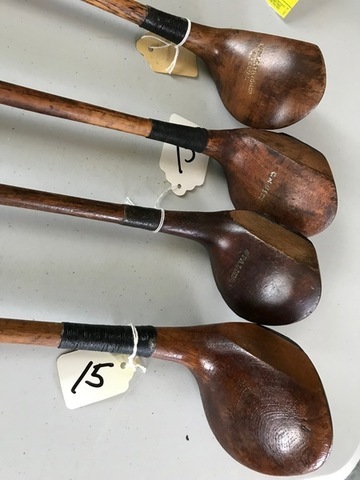 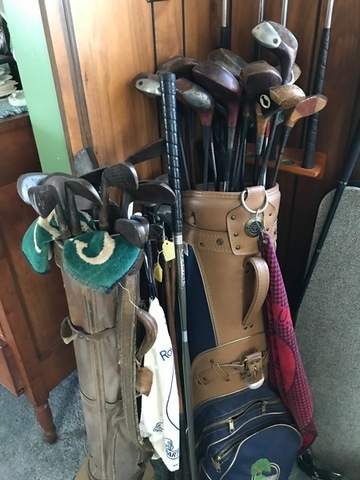 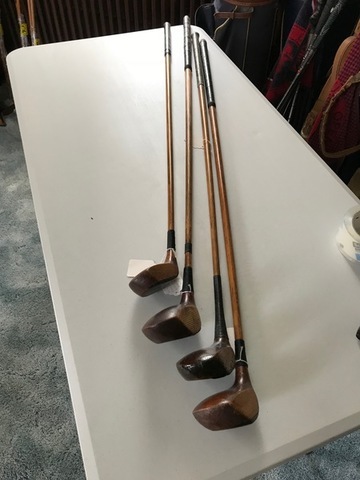 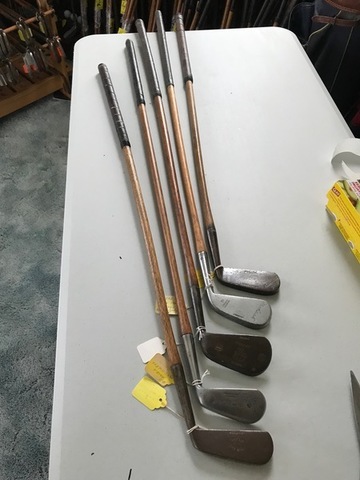 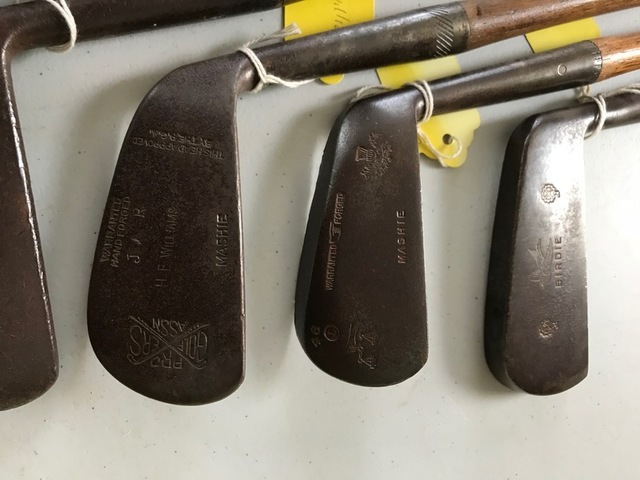 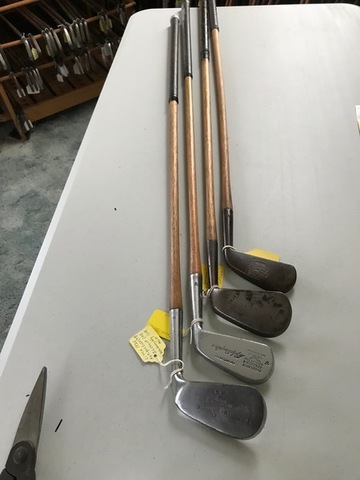 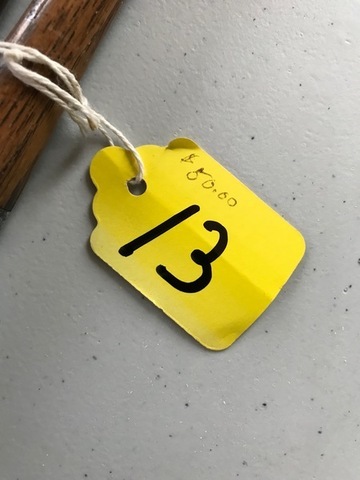 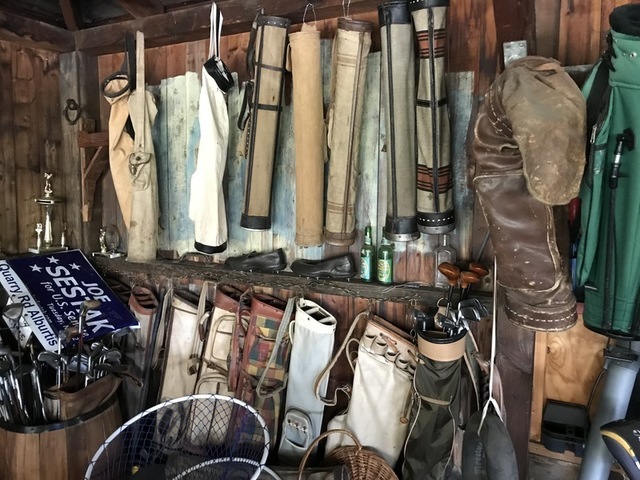 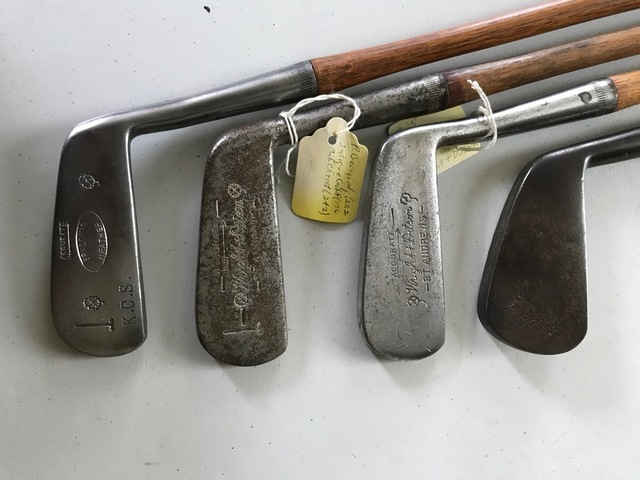 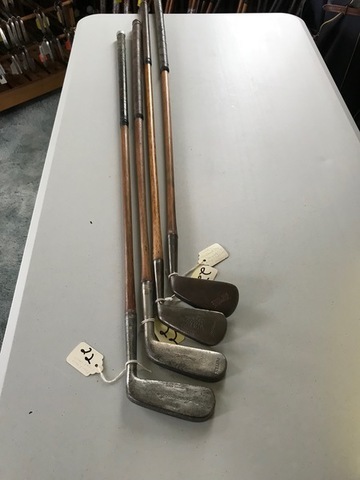 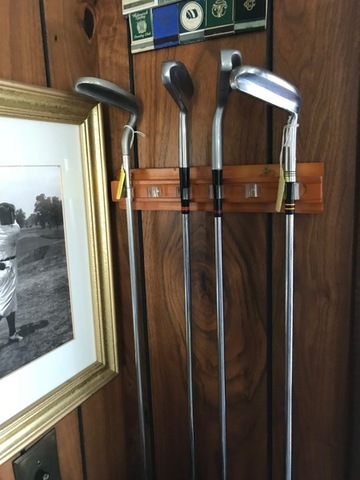 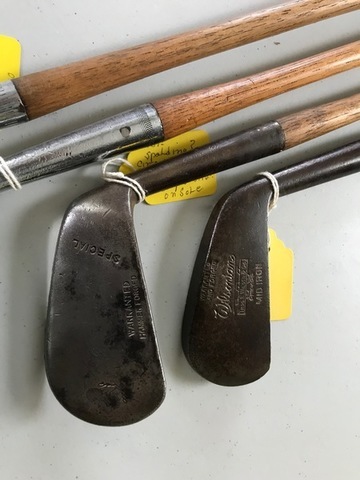 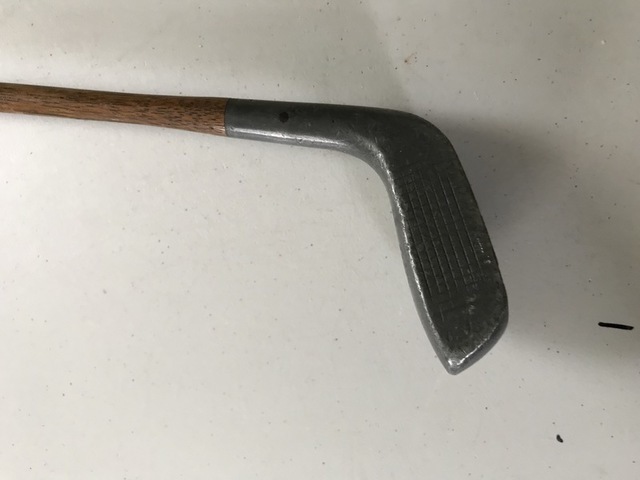 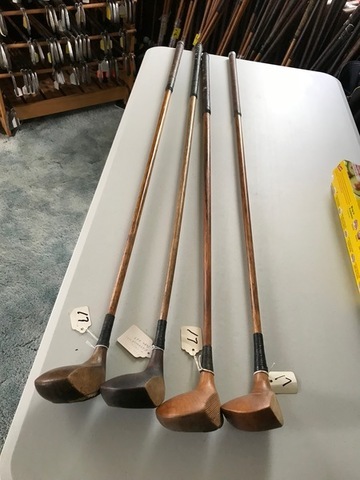 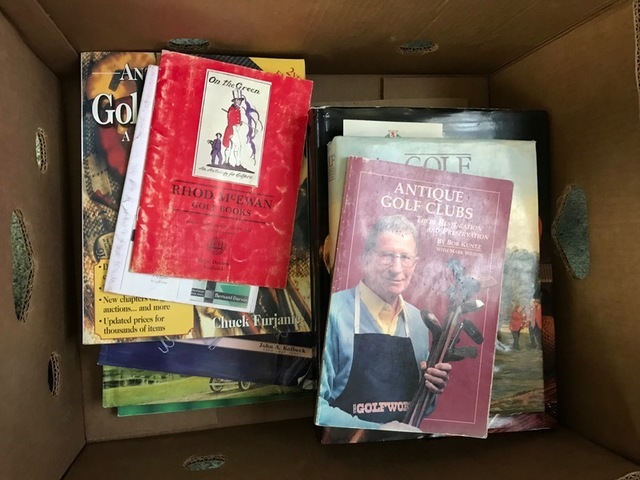 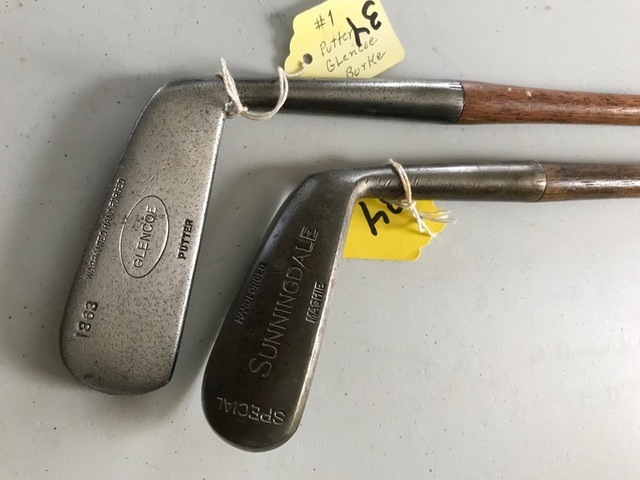 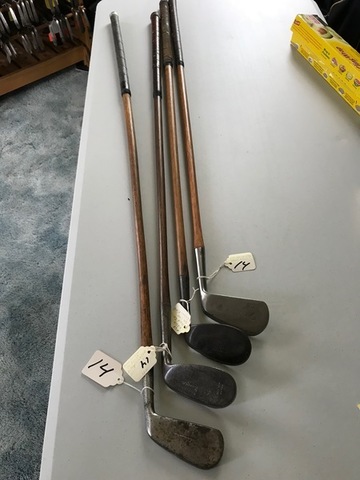 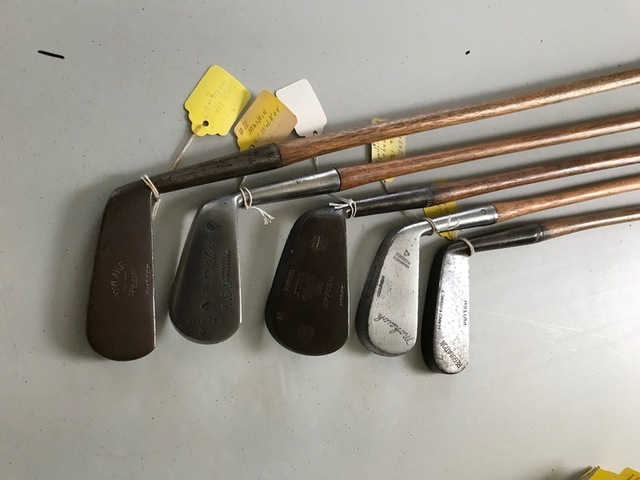 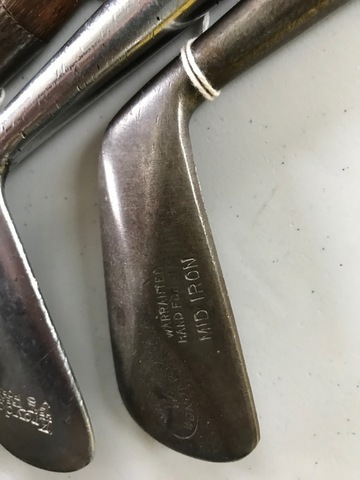 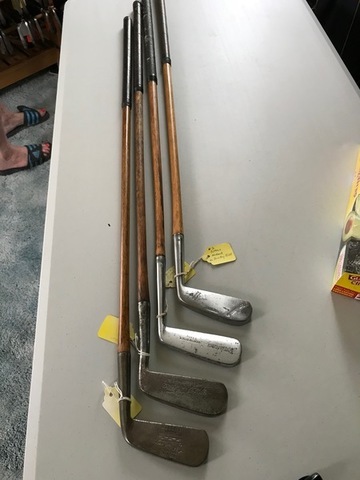 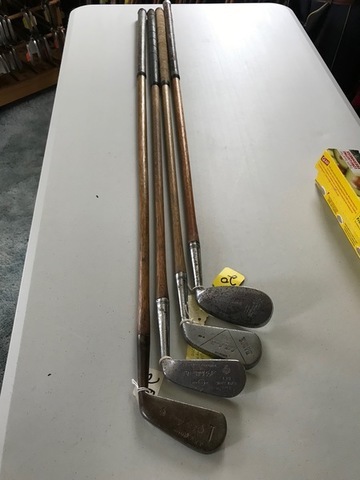 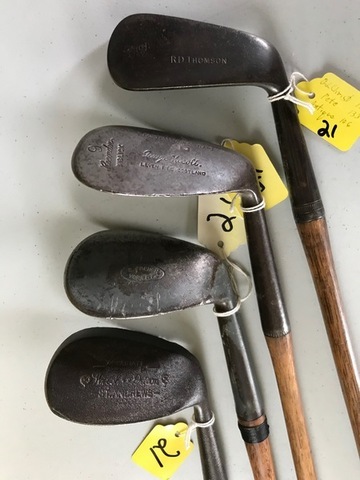 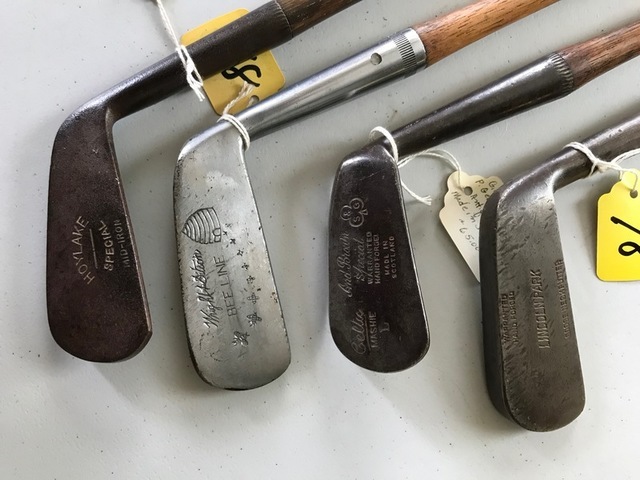 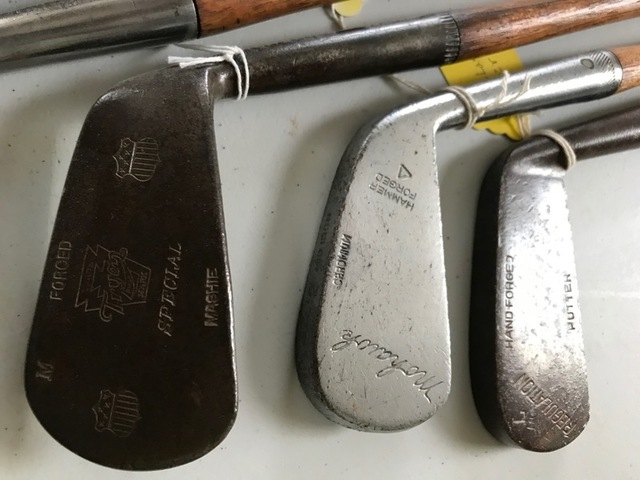 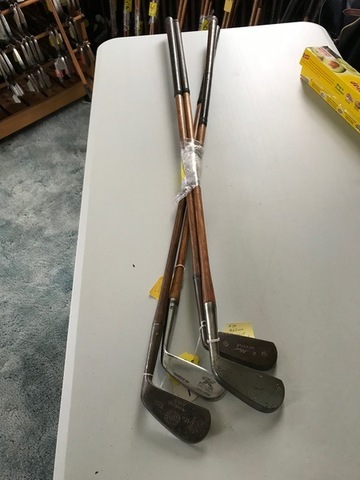 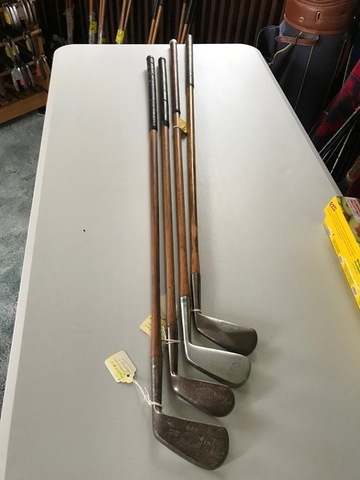 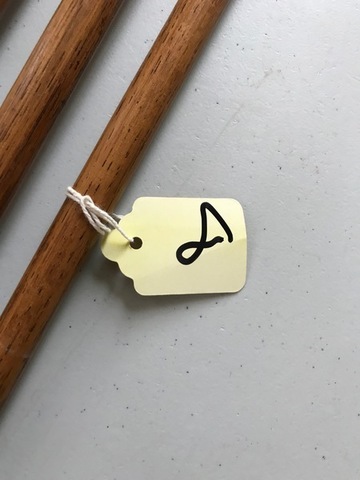 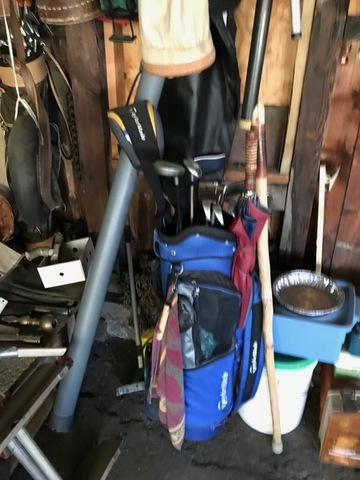 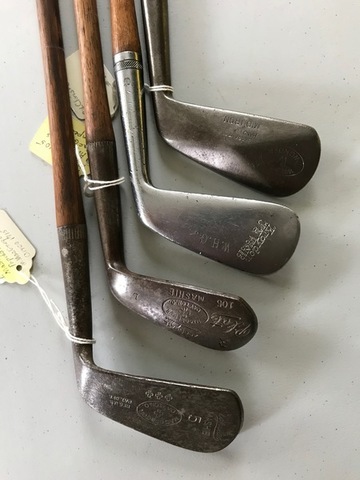 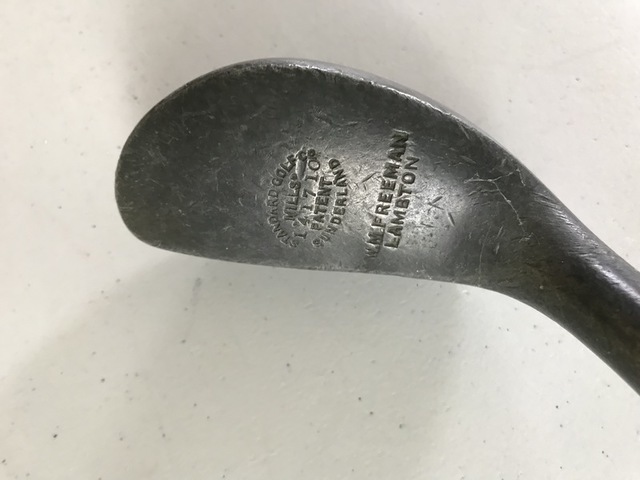 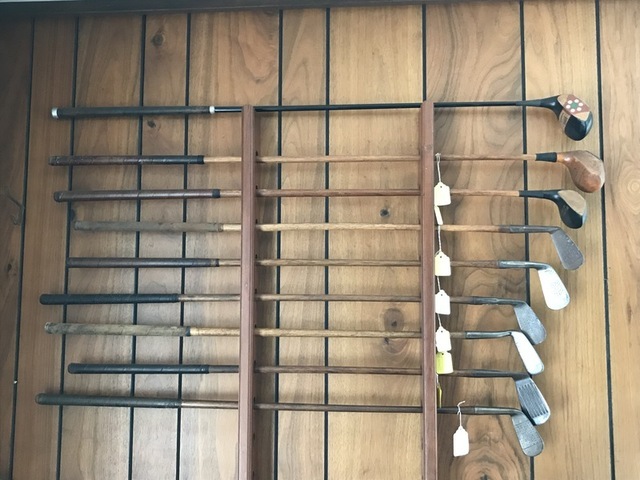 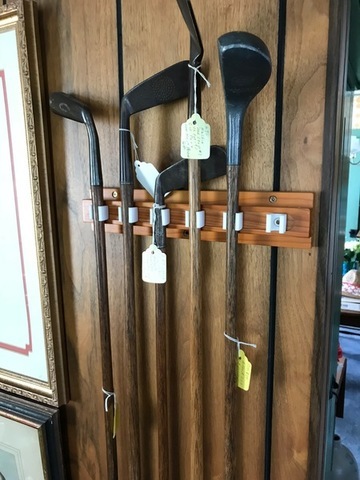 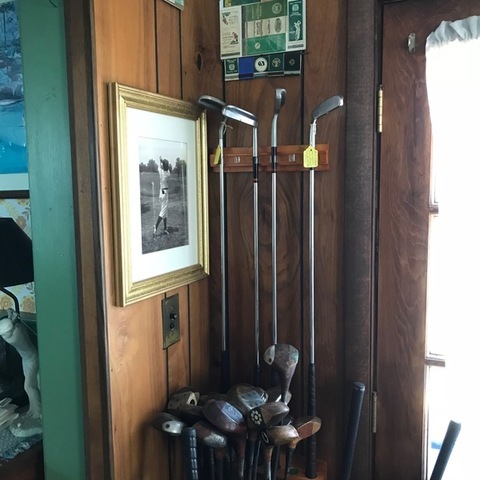 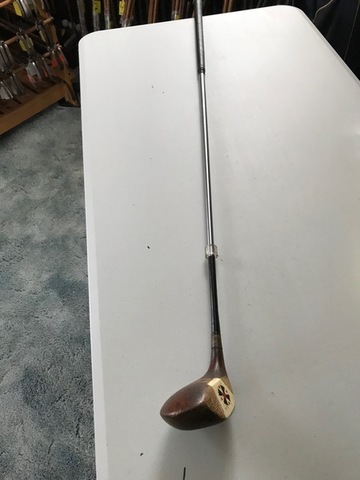 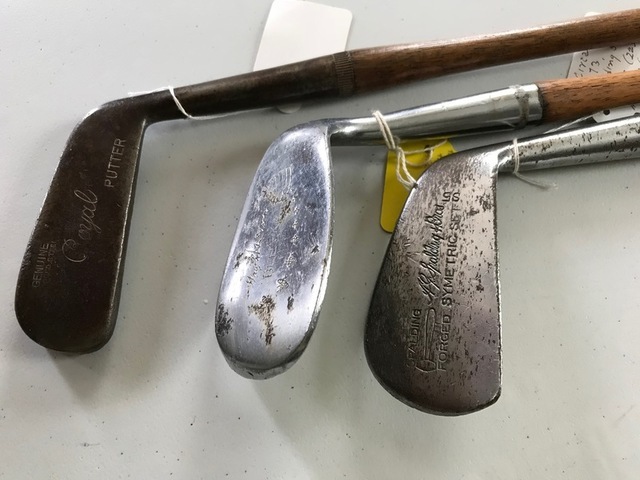 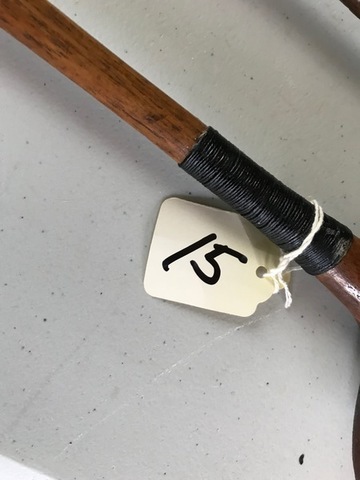 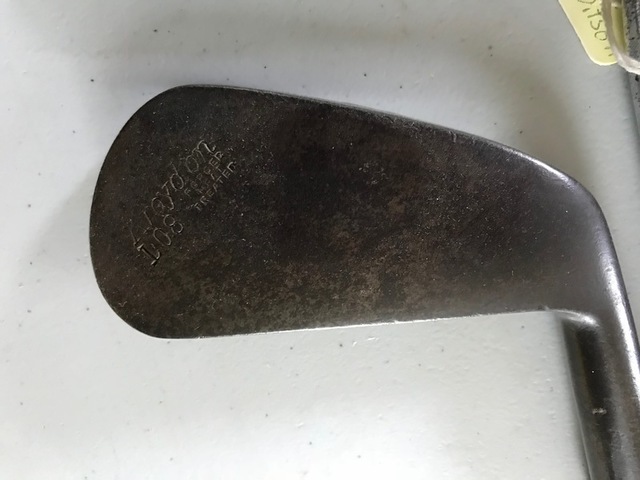 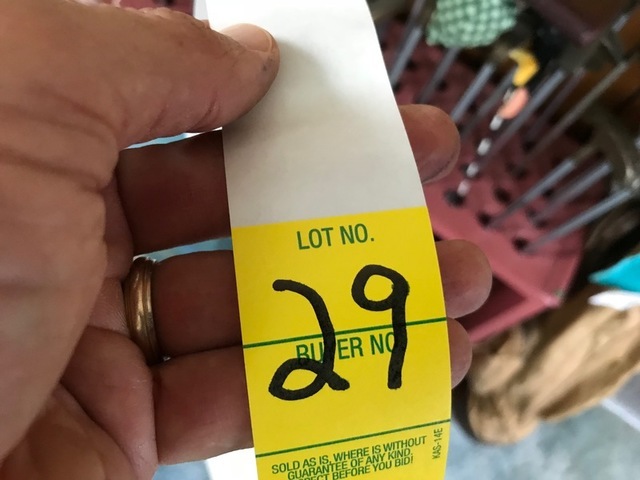 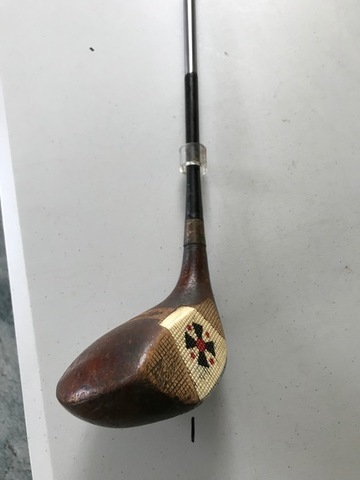 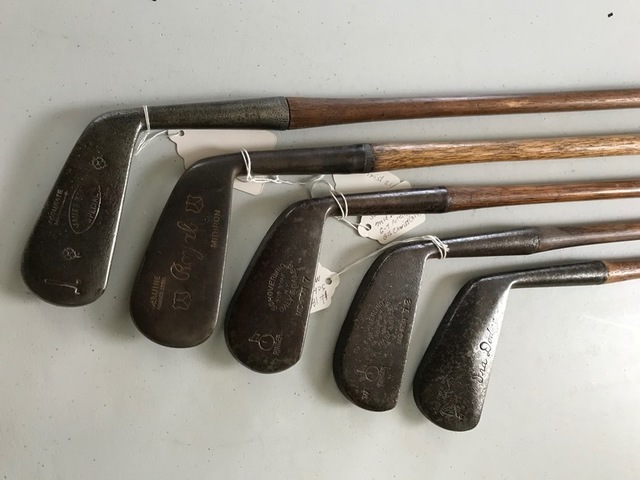 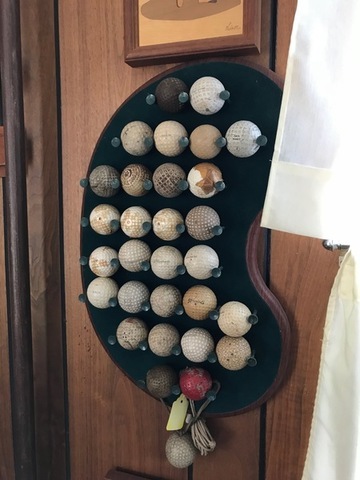 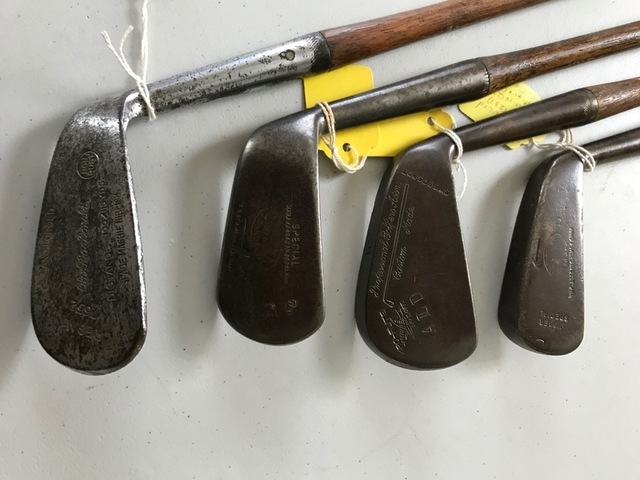 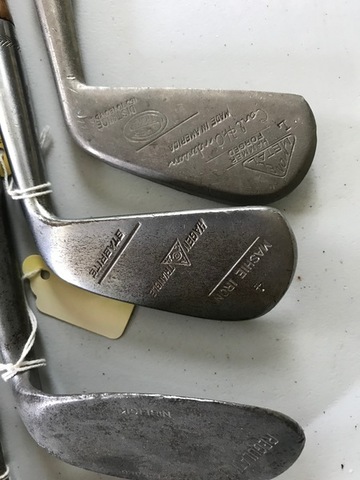 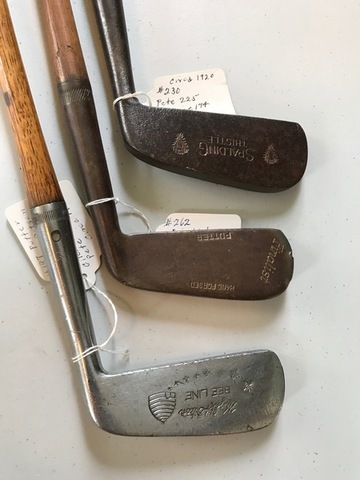 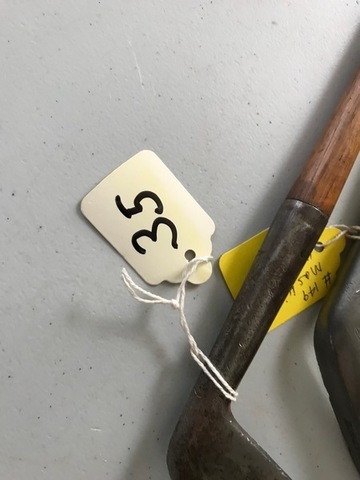 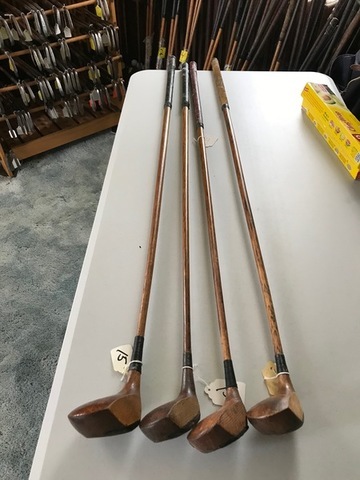 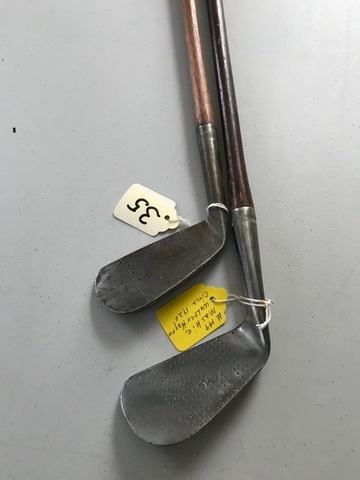 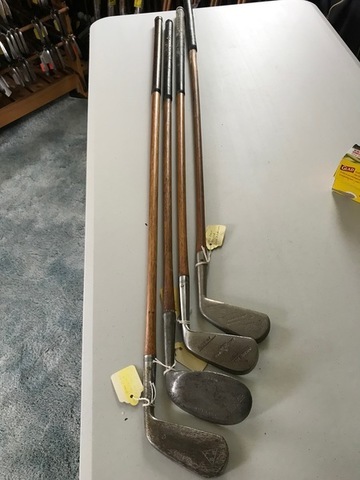 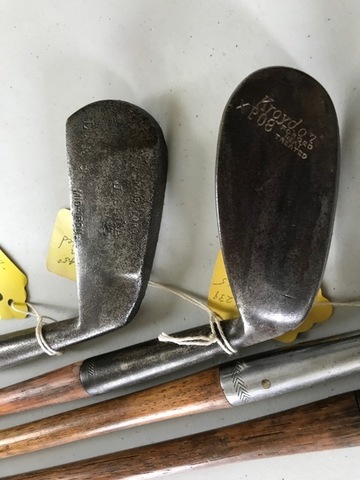 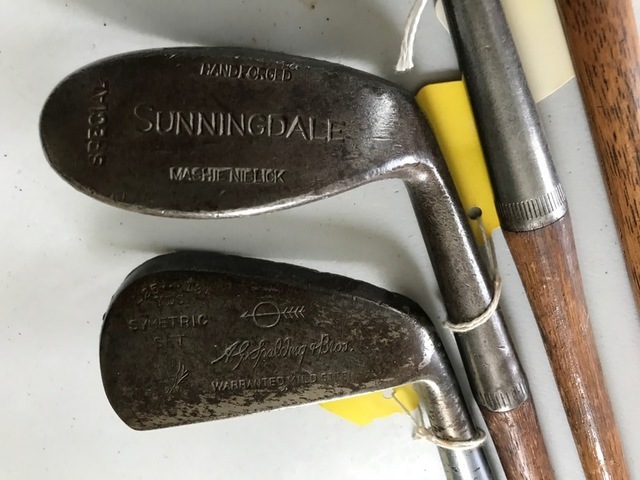 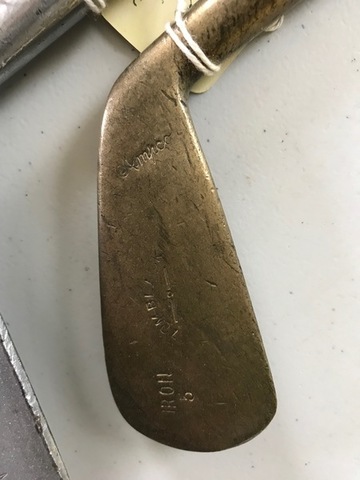 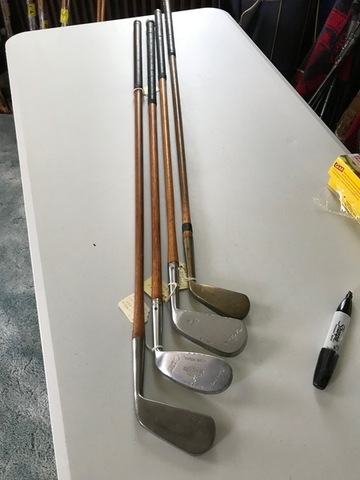 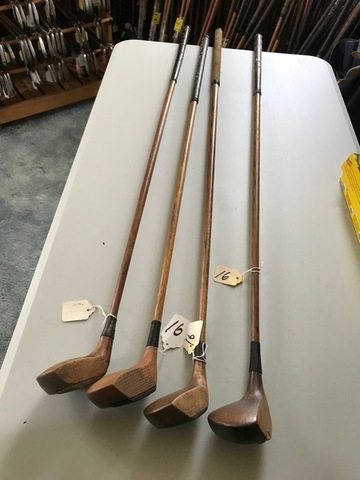 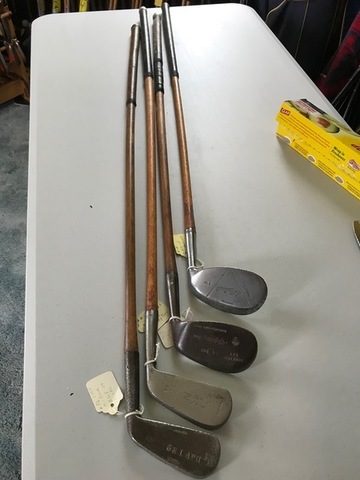 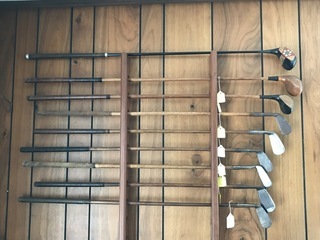 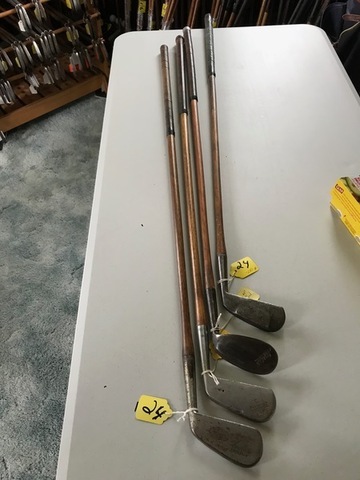 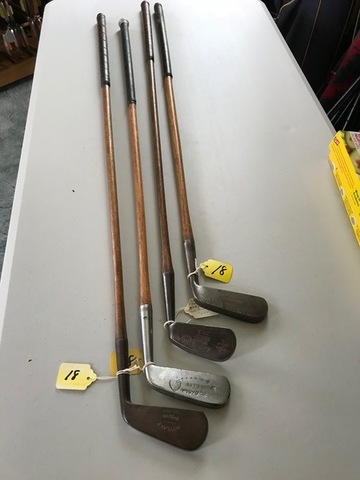 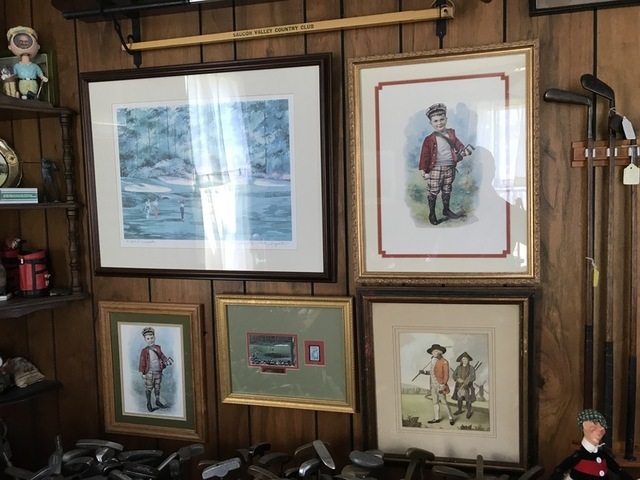 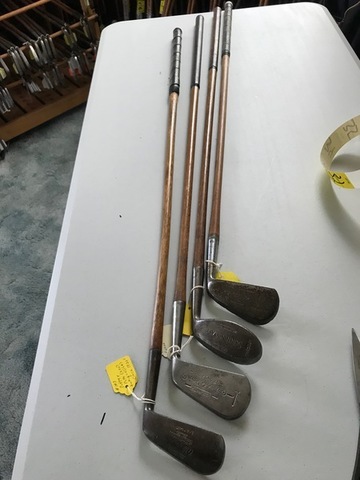 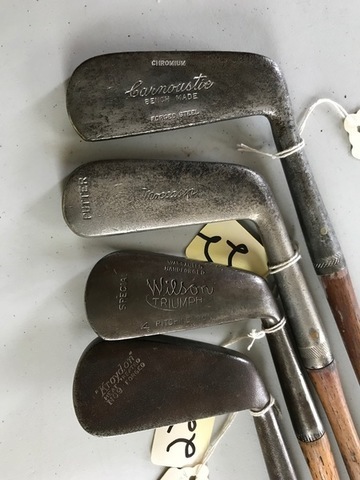 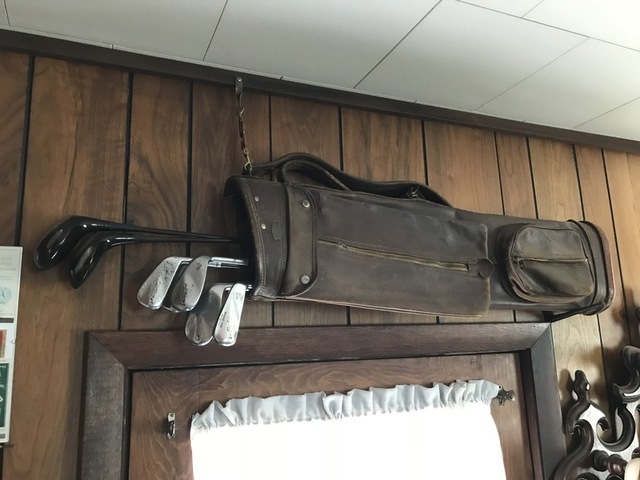 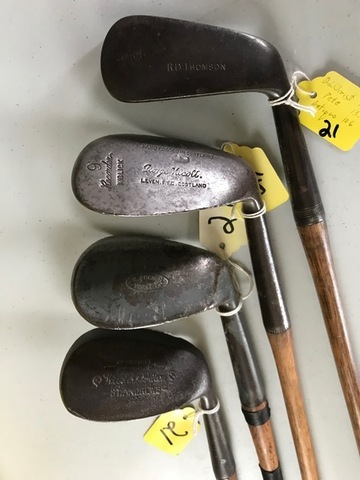 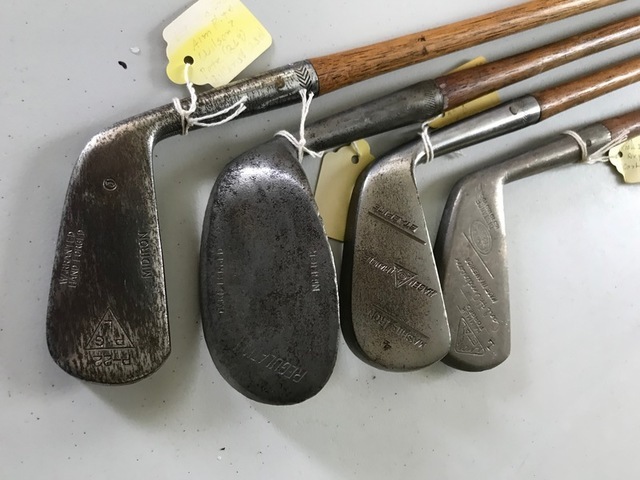 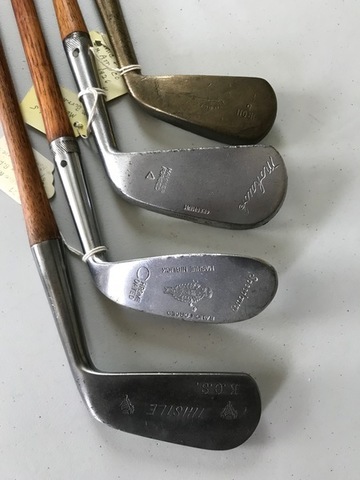 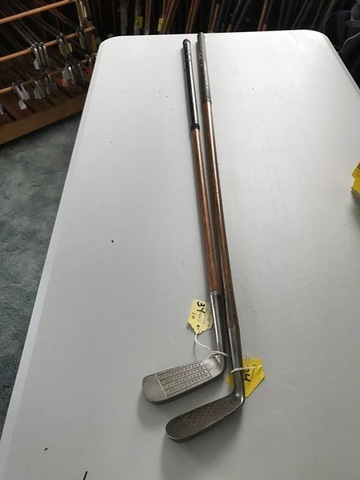 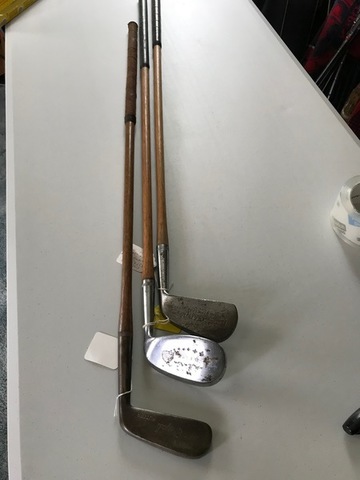 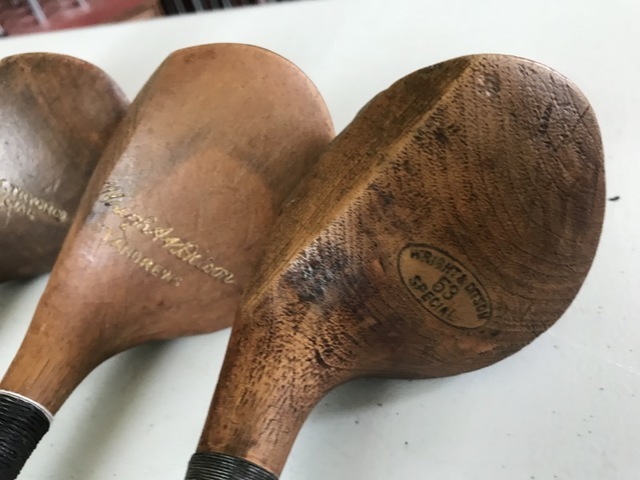 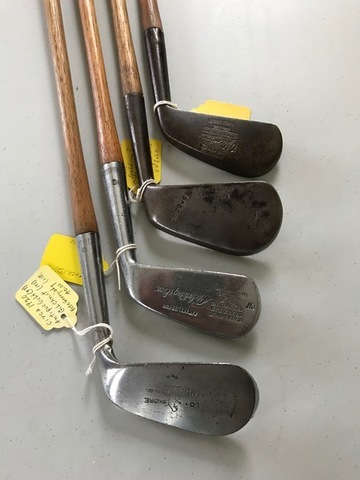 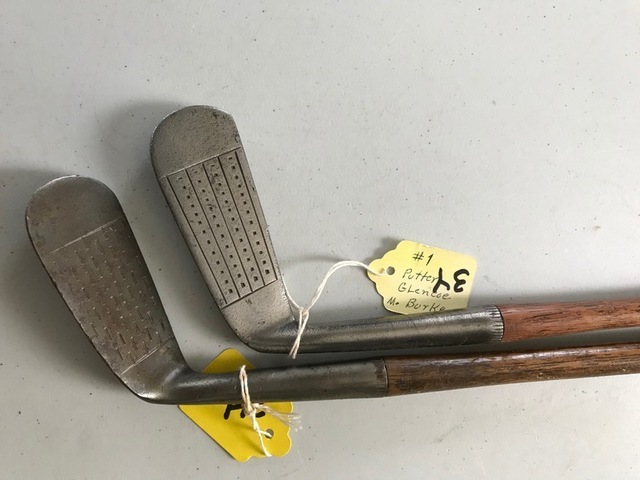 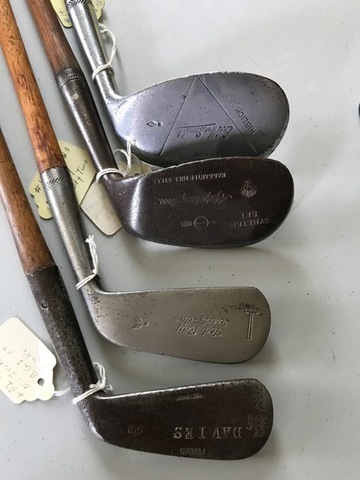 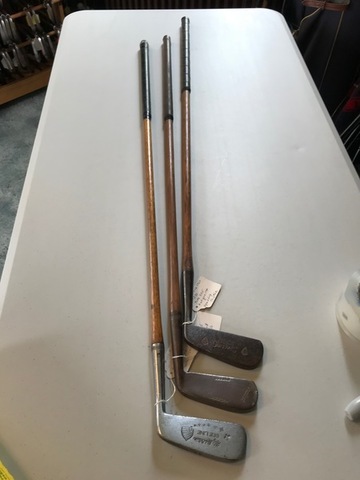 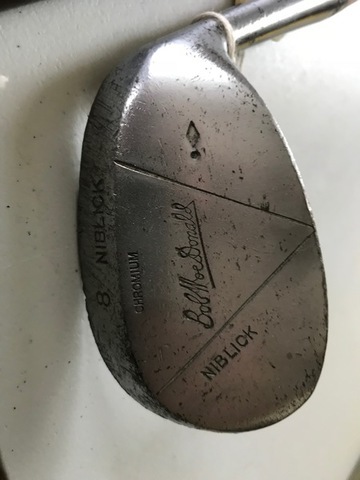 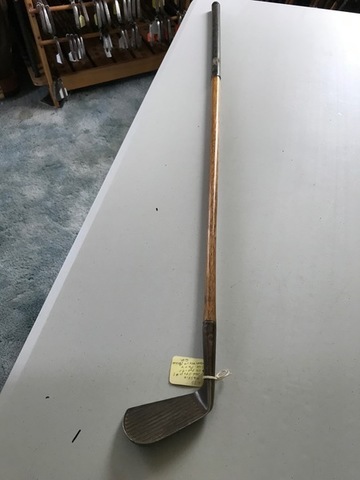 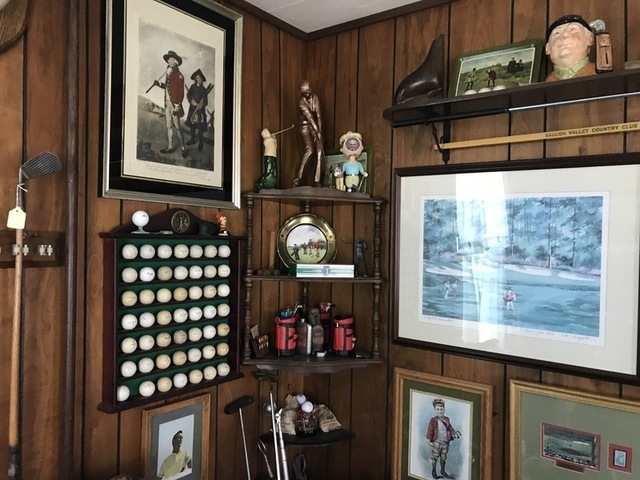 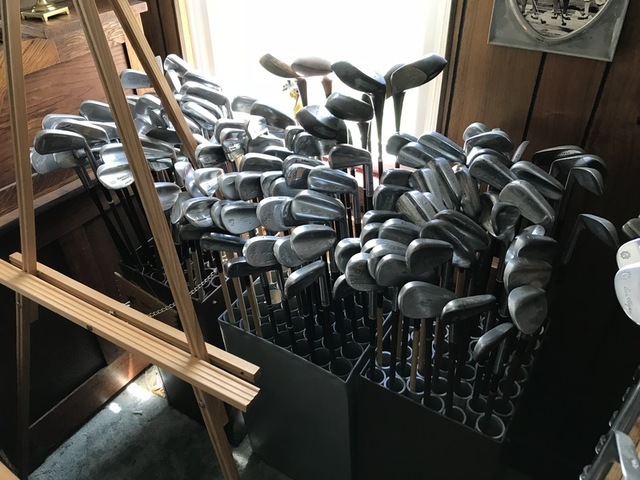 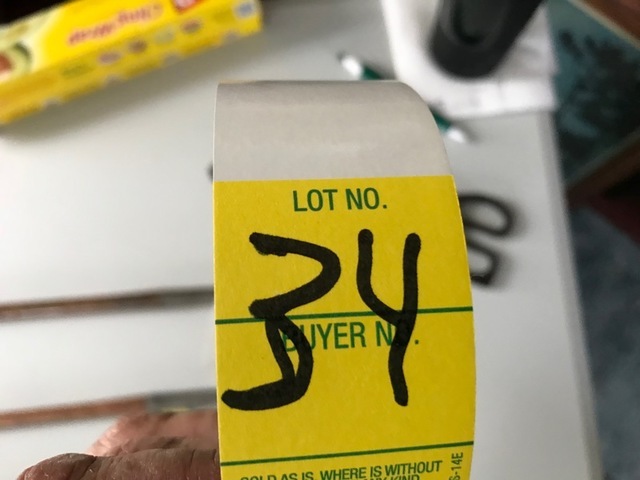 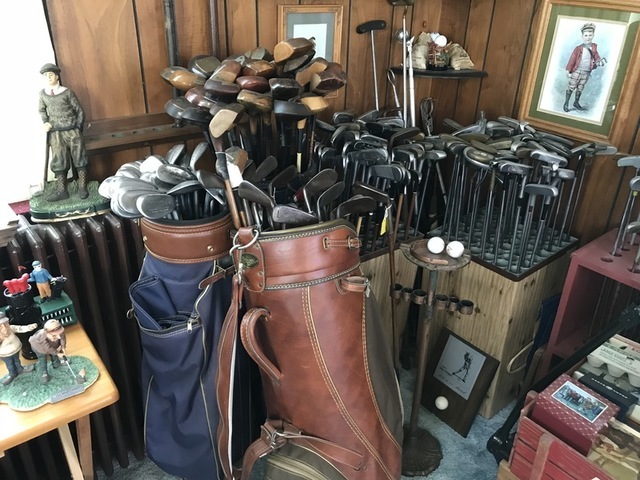 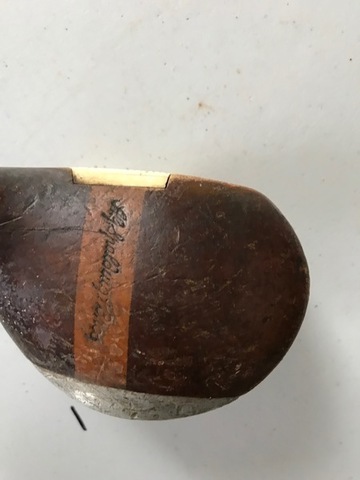 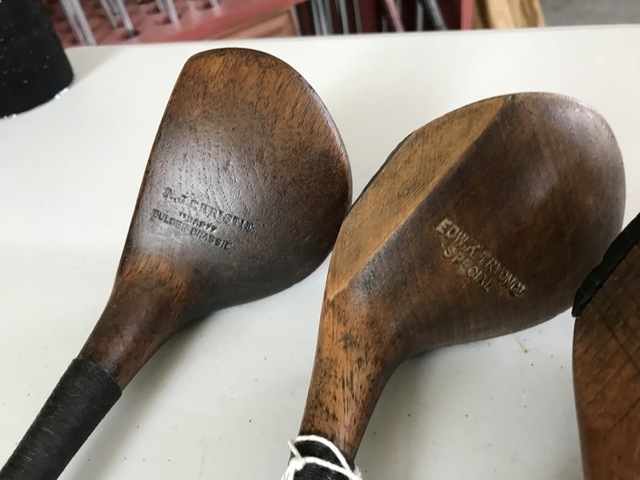 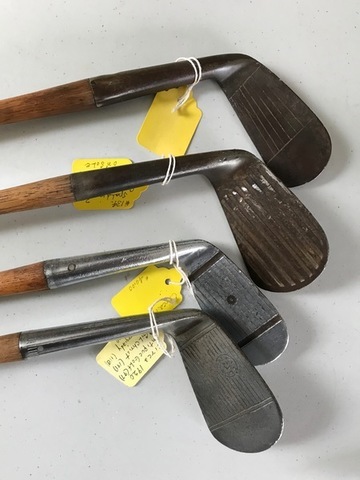 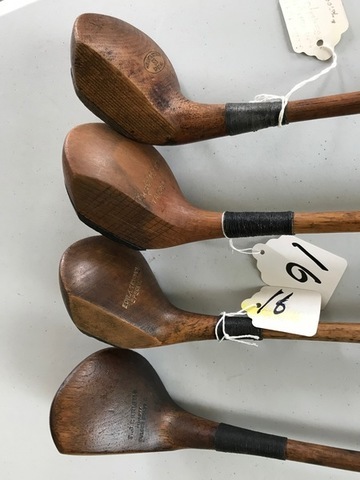 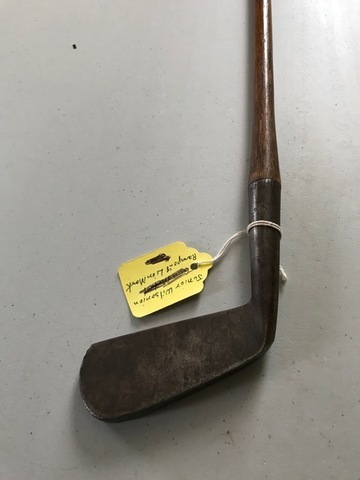 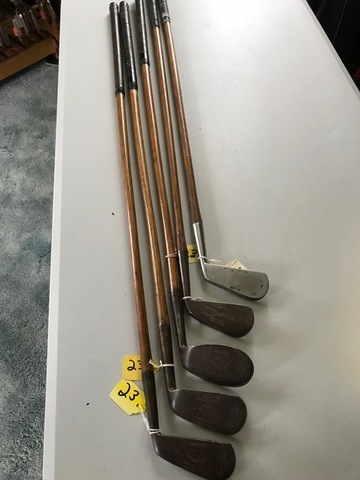 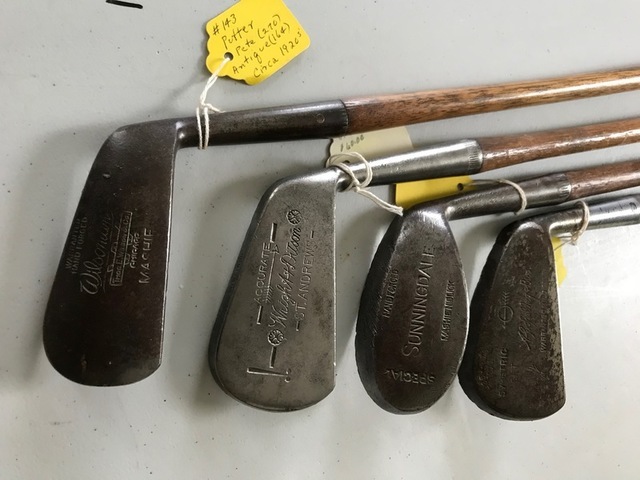 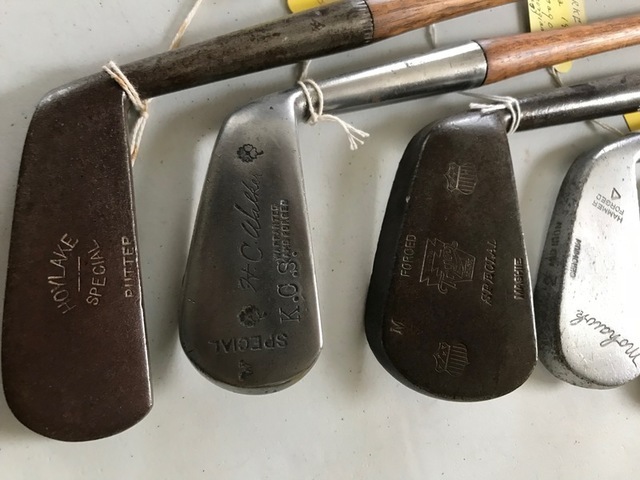 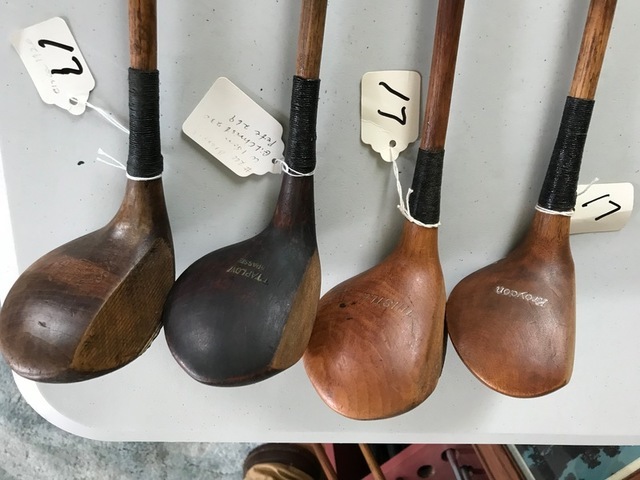 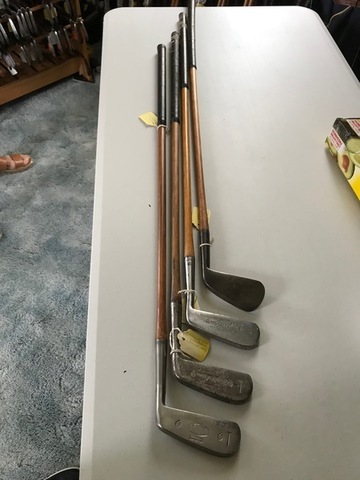 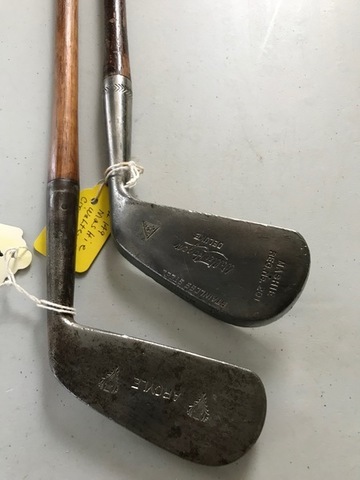 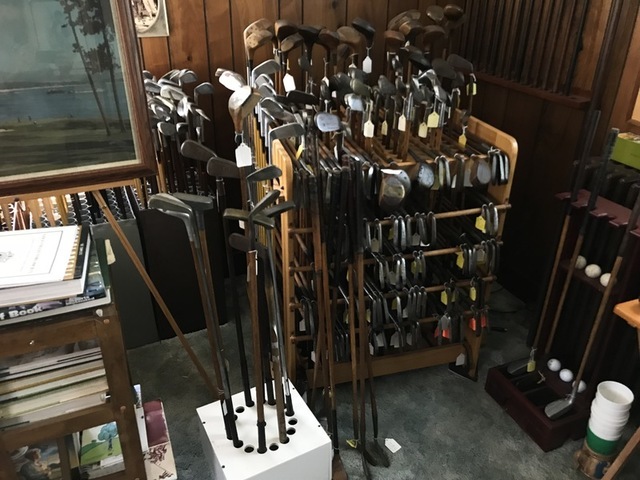 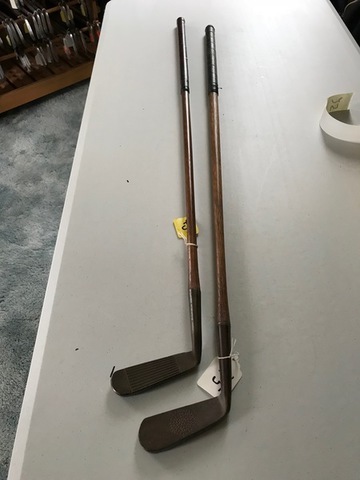 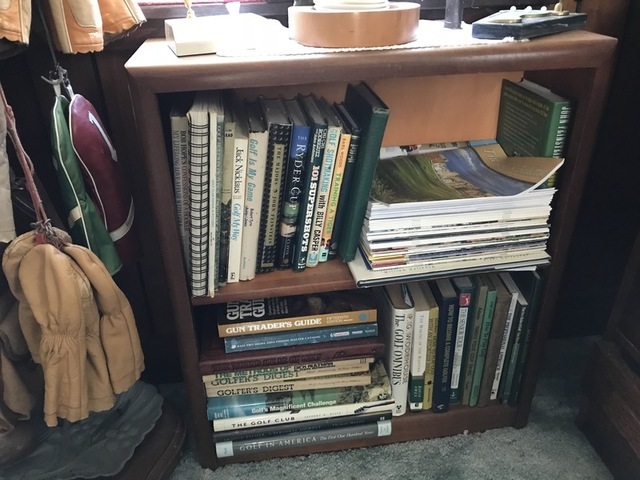 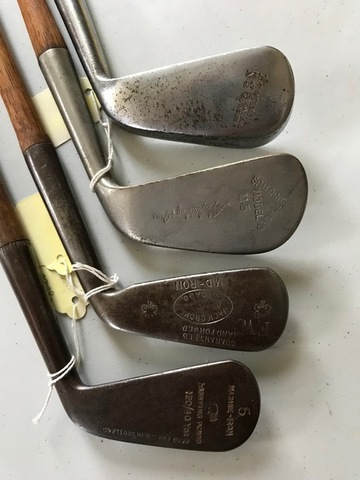 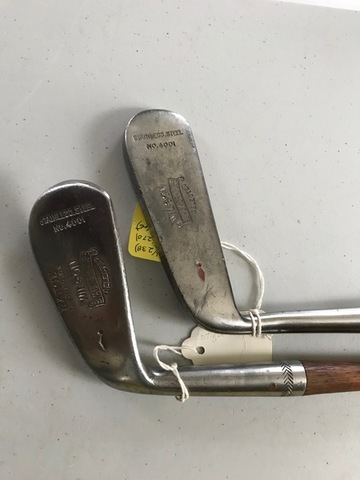 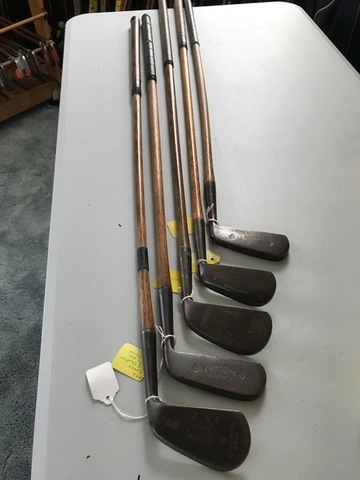 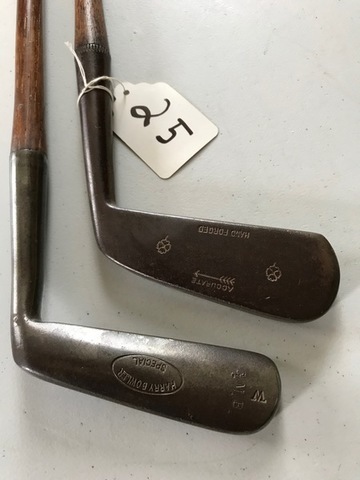 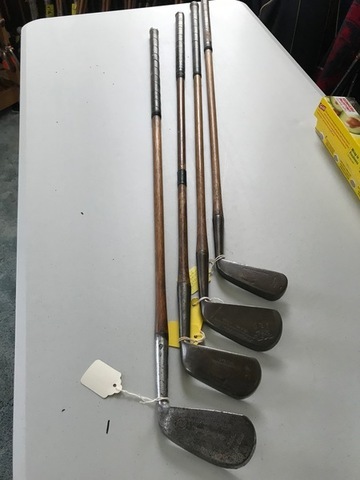 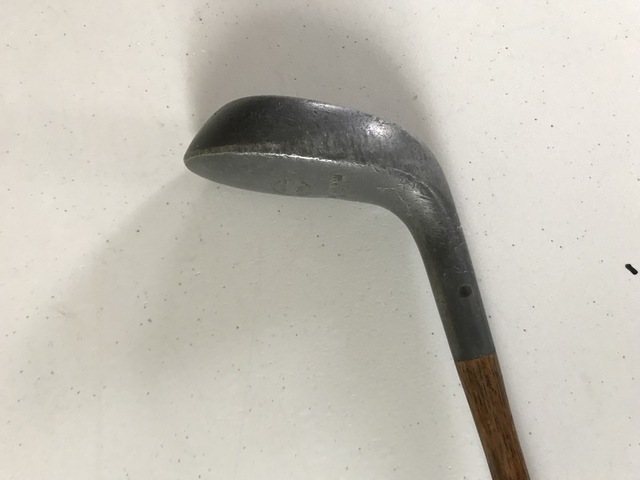 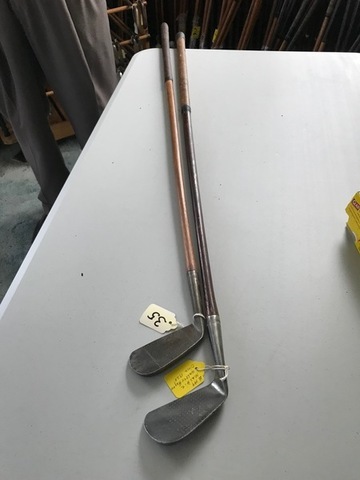 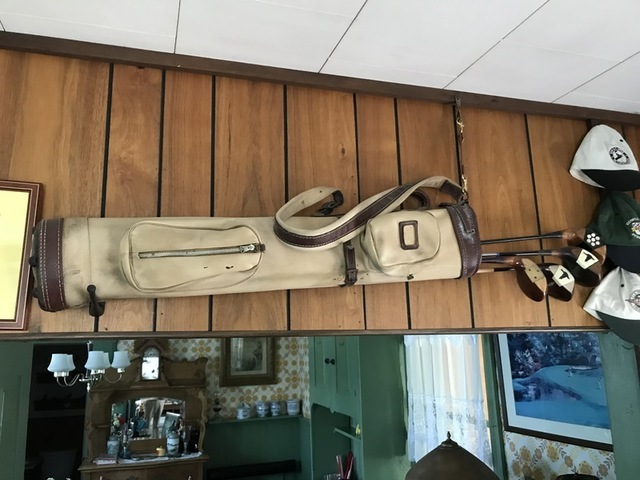 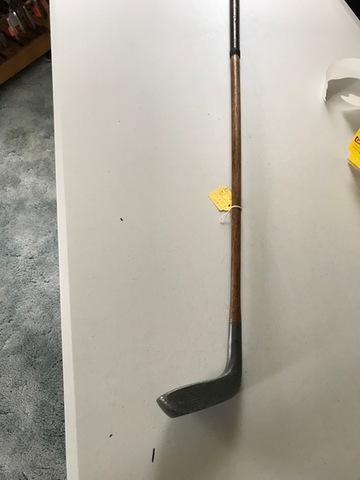 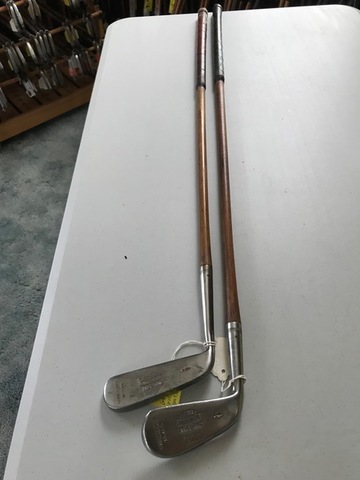 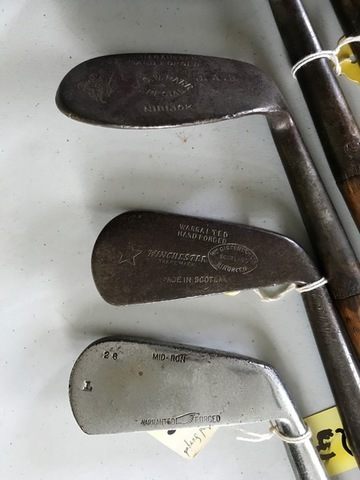 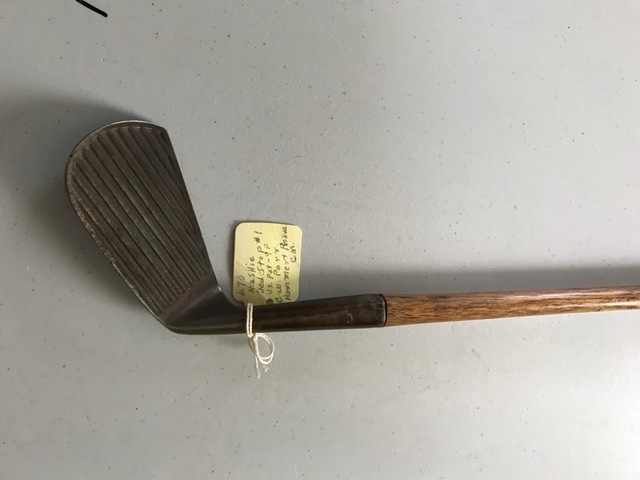 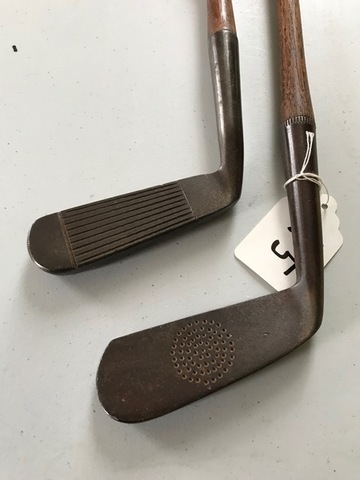 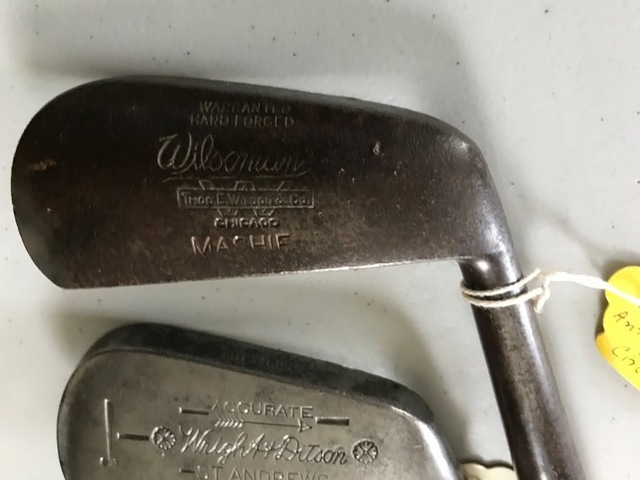 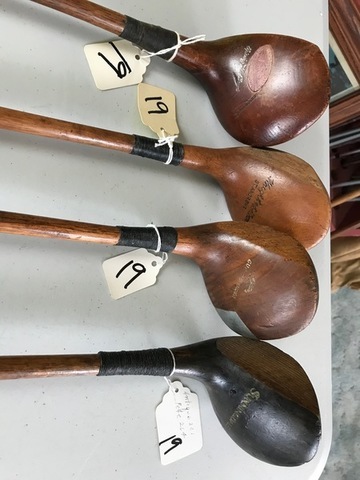 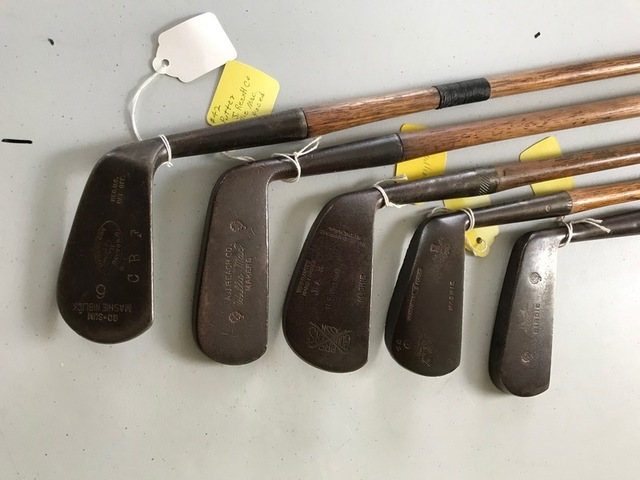 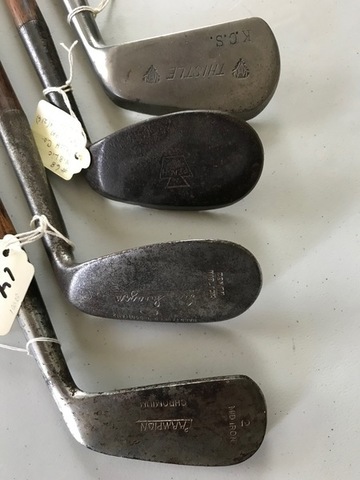 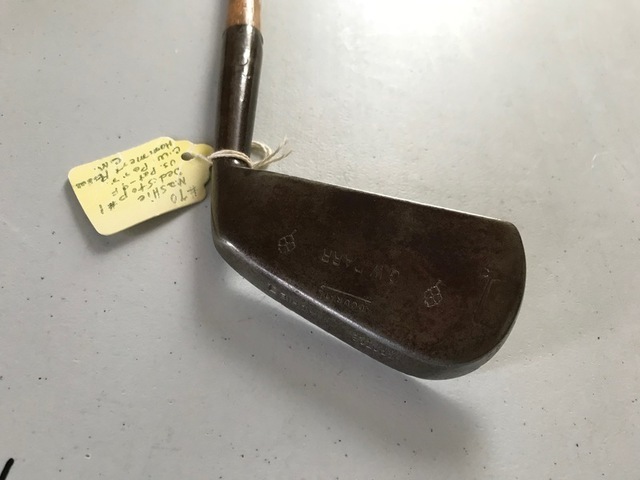 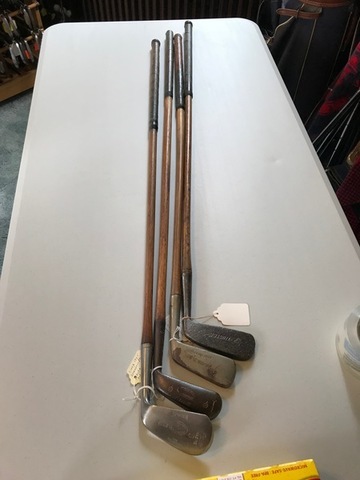 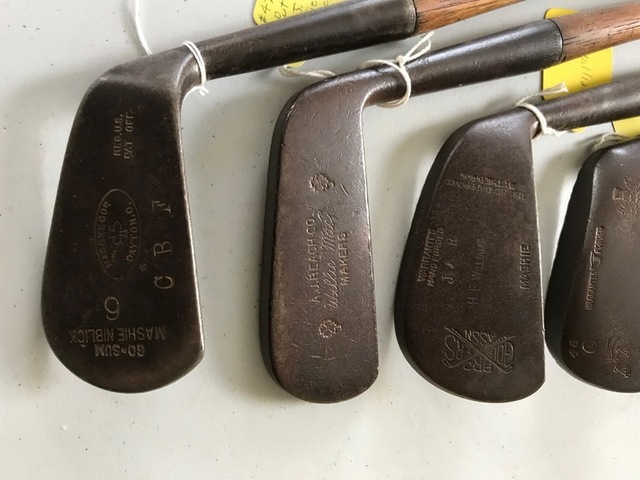 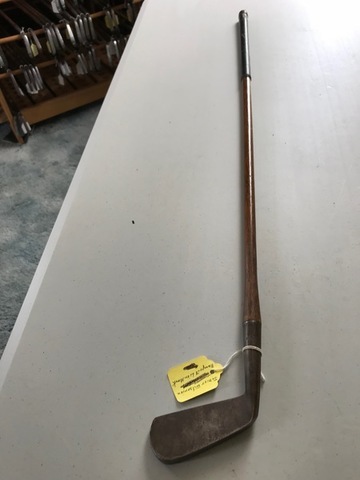 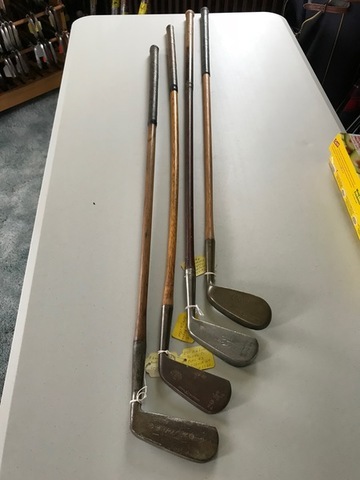 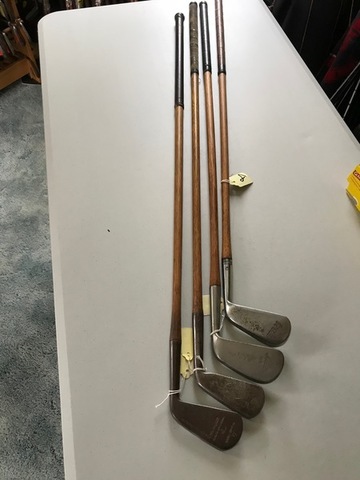 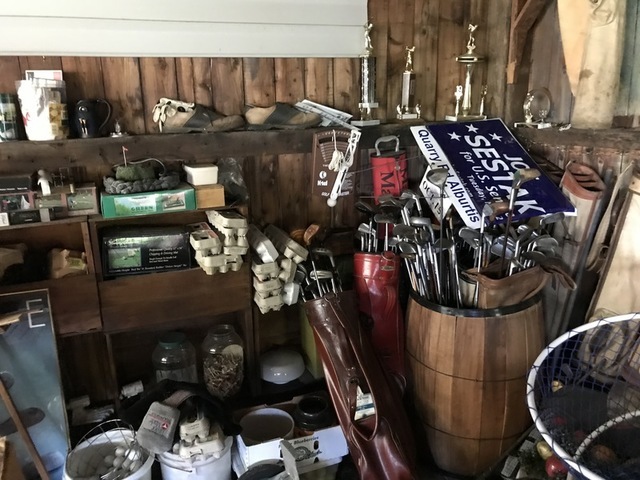 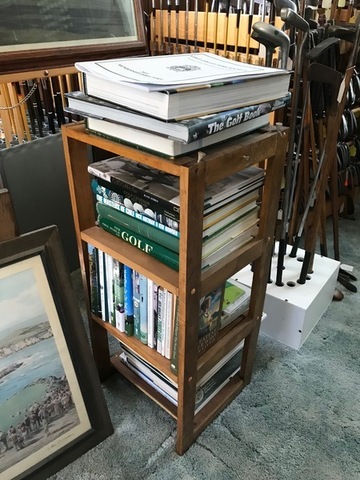 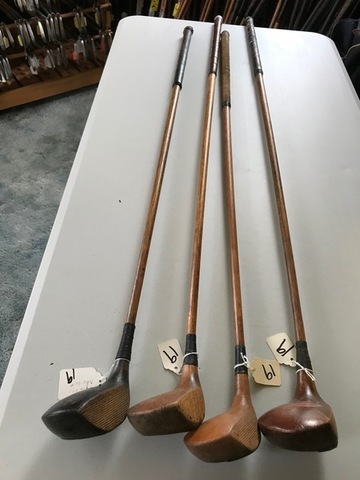 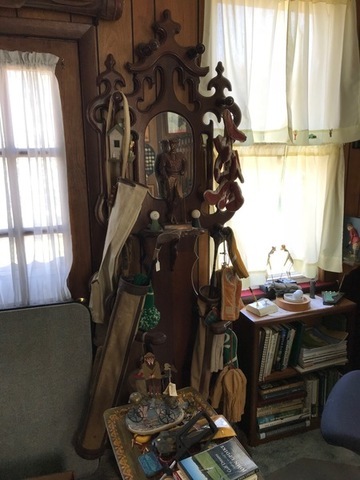 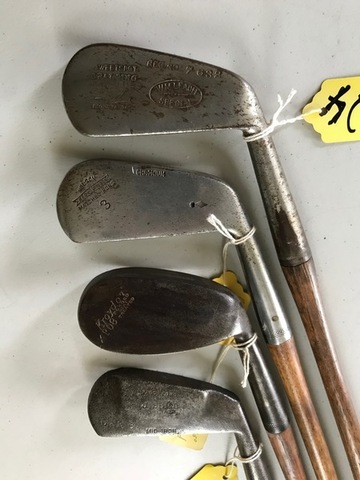 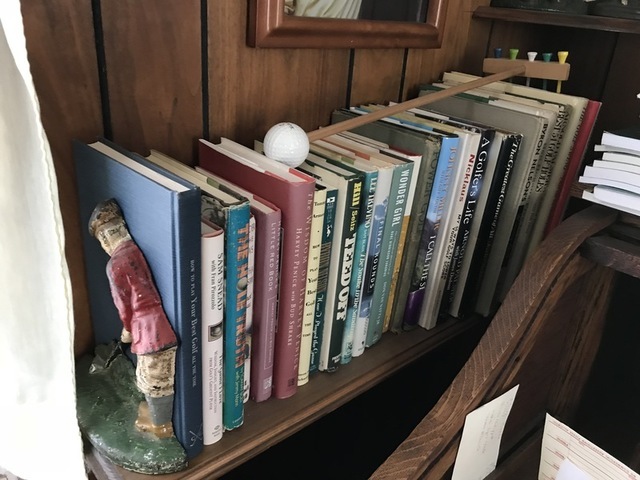 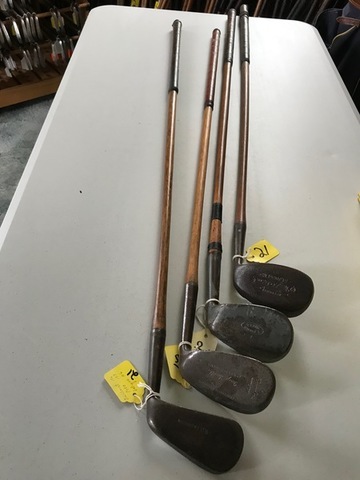 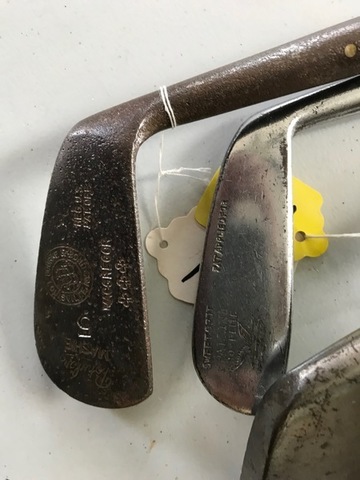 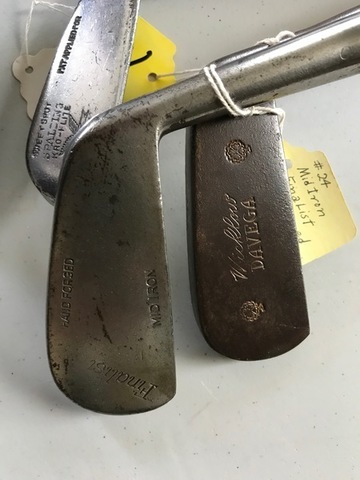 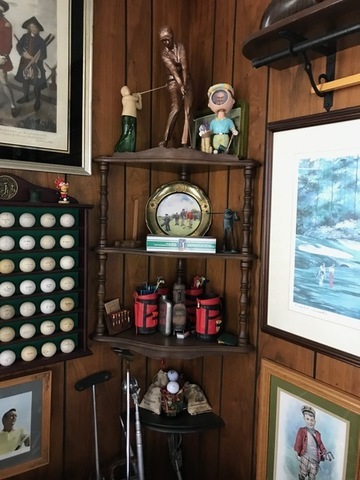 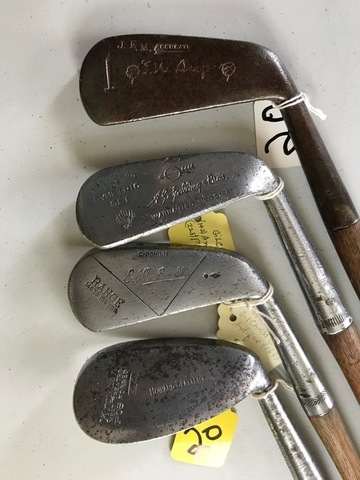 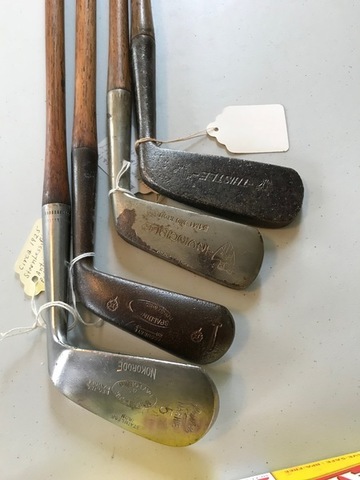 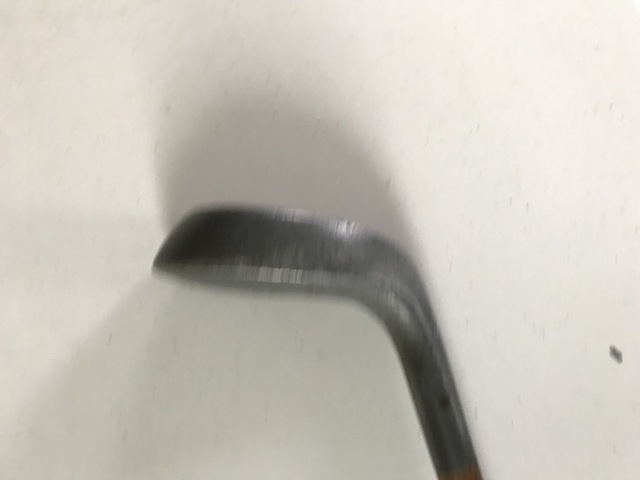 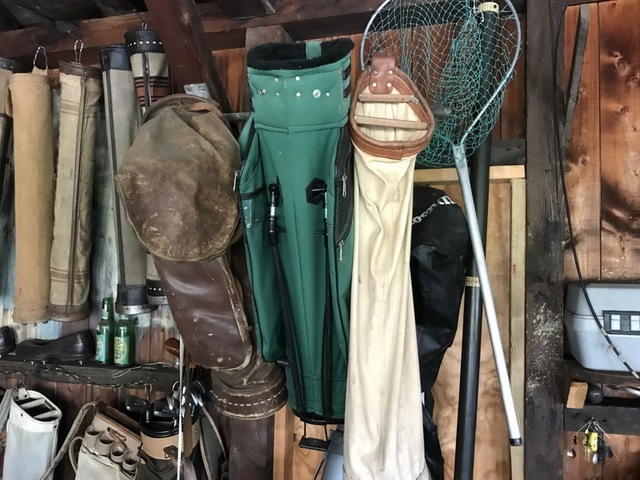 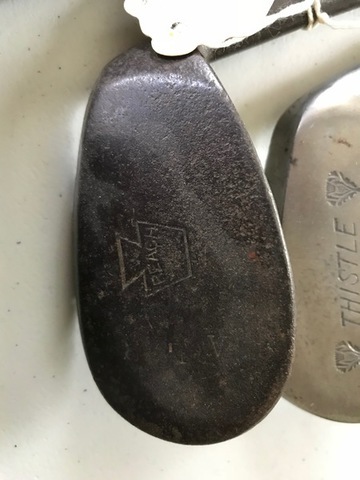 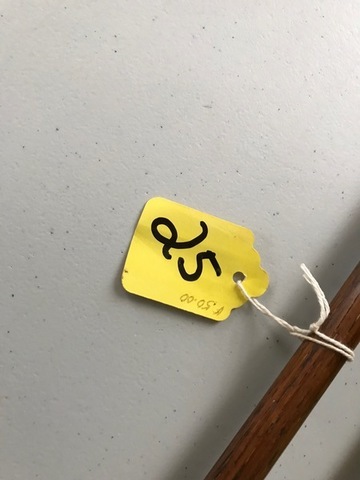 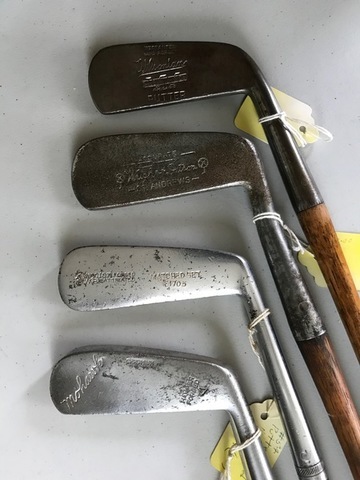 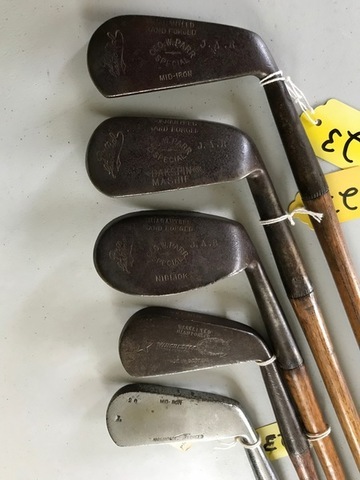 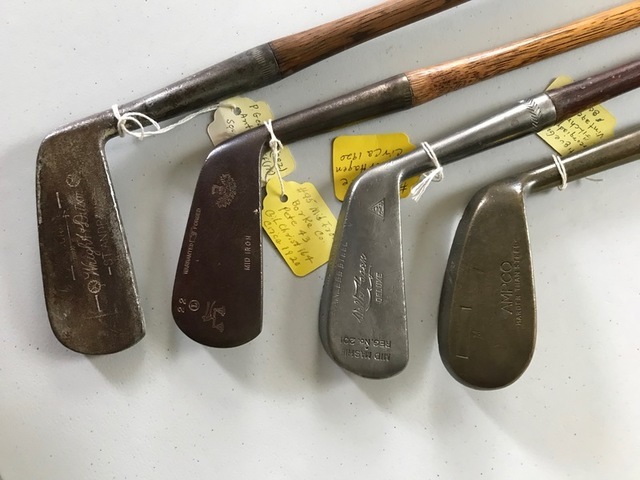 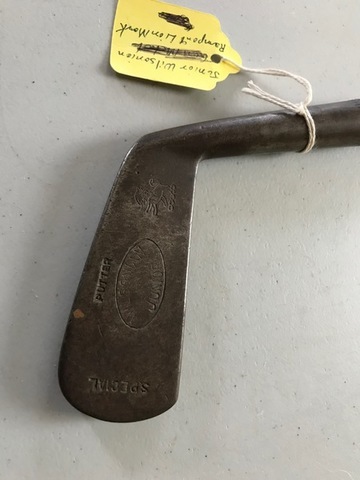 MORE PHOTOS of HICKORY clubs added, click on photo tab & view Hickory Clubs they are numbered 1-46. 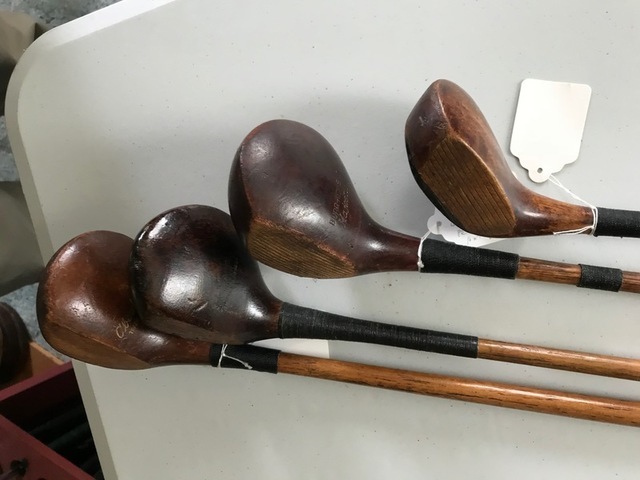 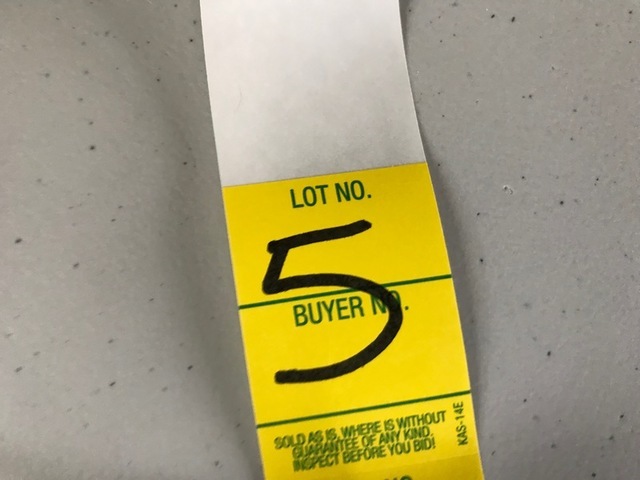 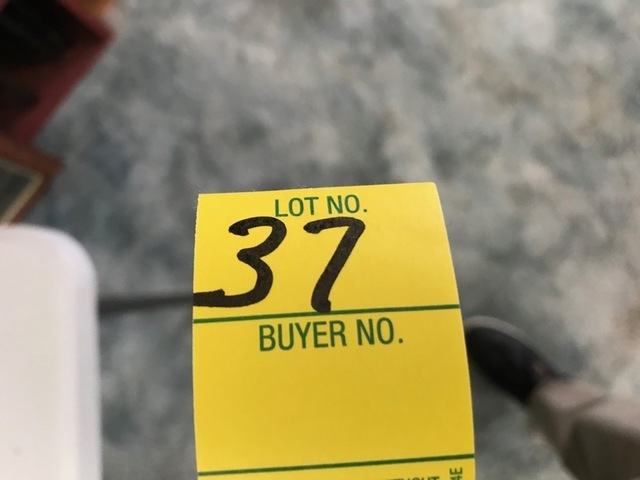 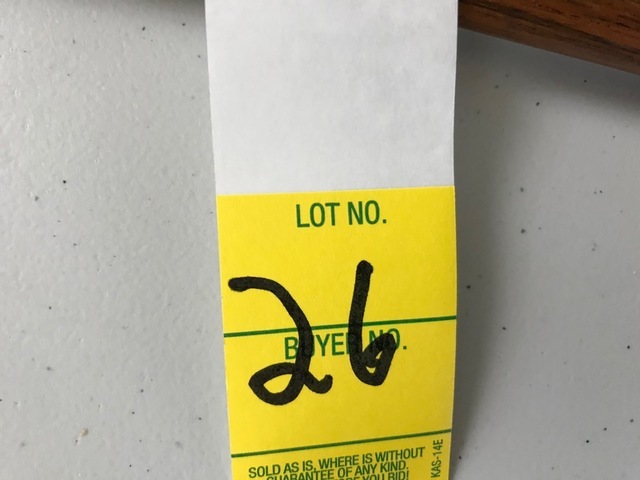 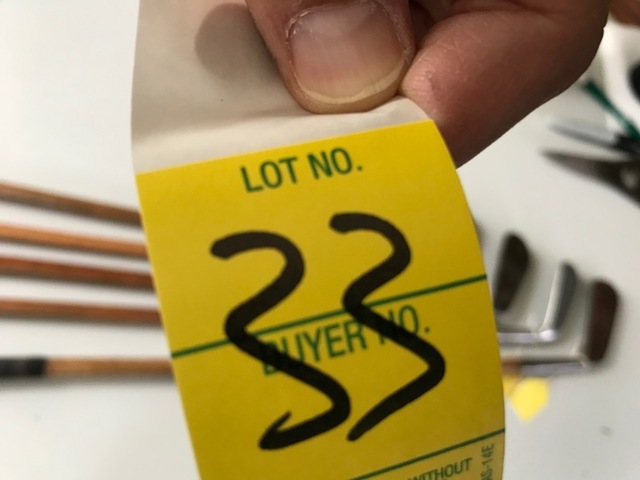 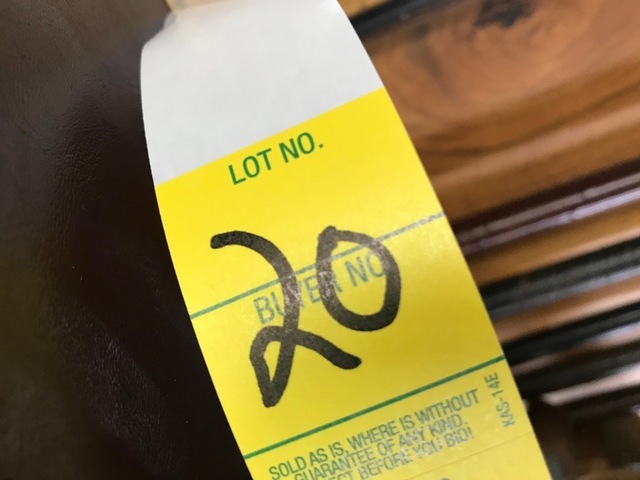 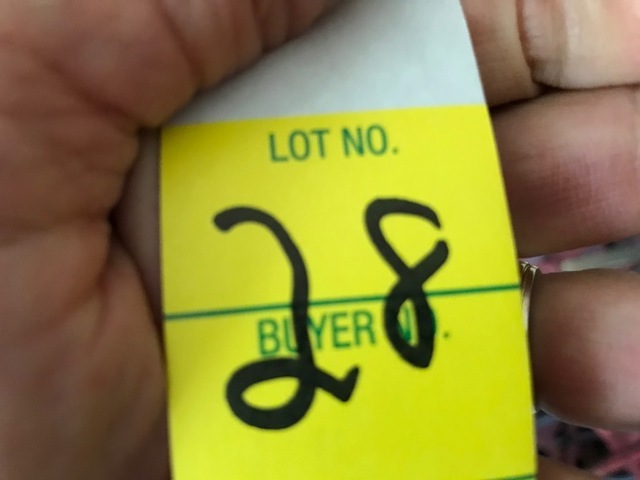 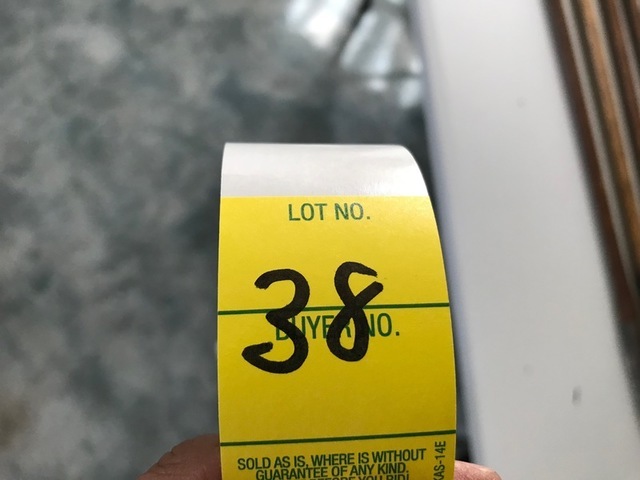 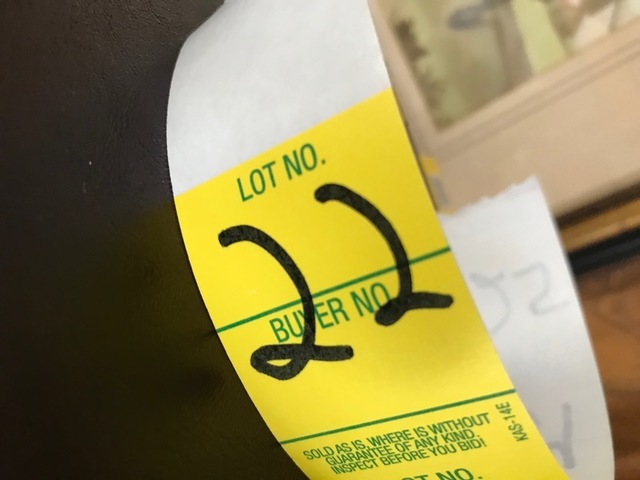 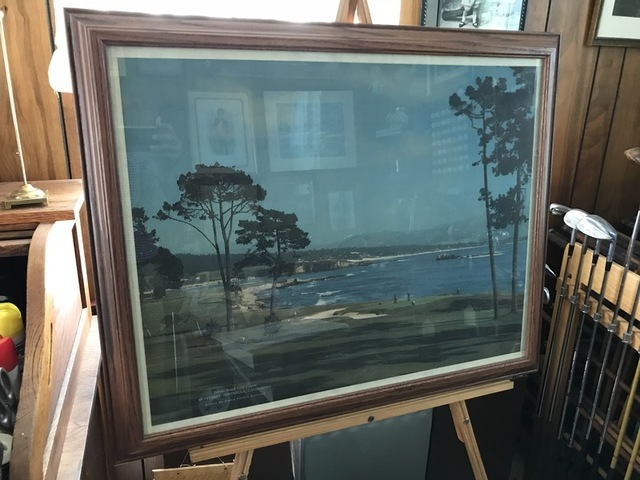 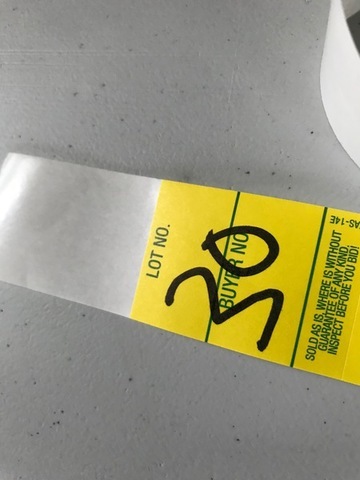 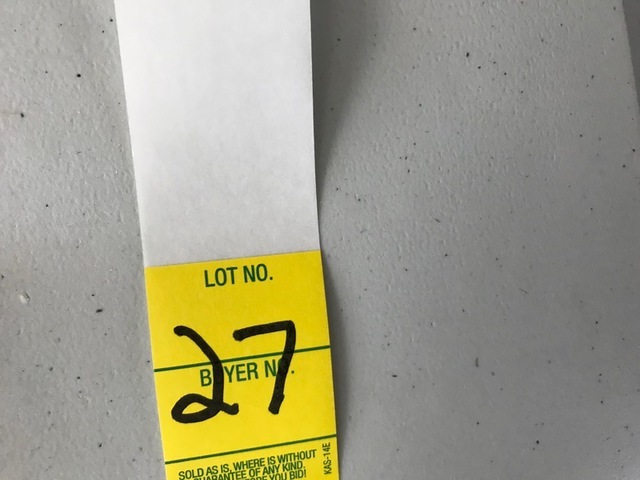 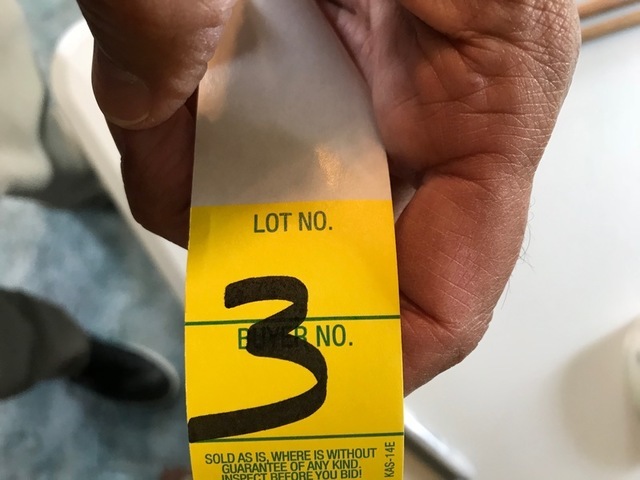 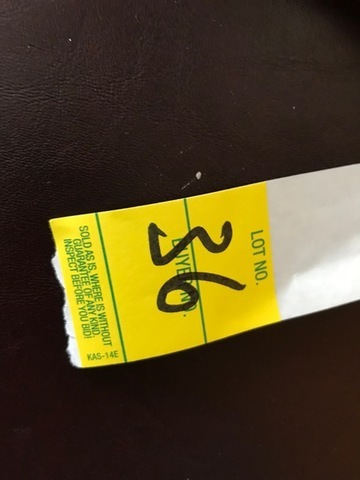 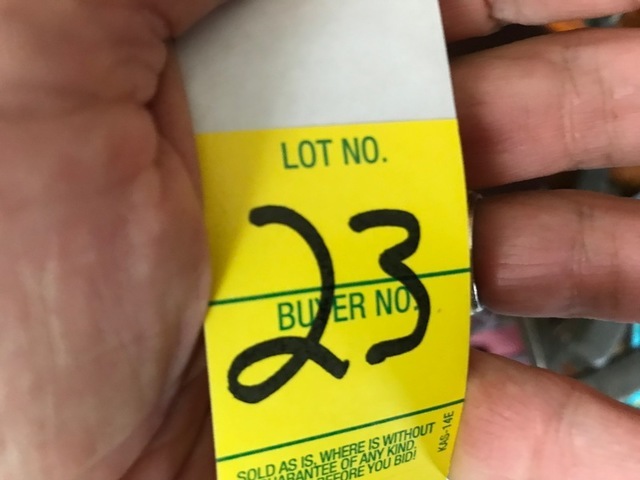 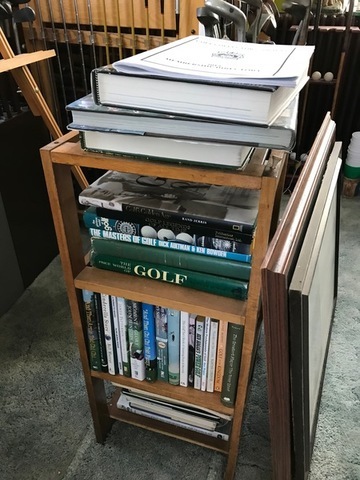 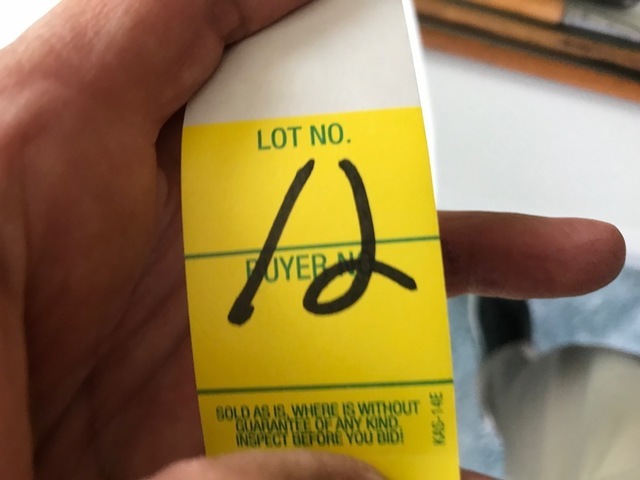 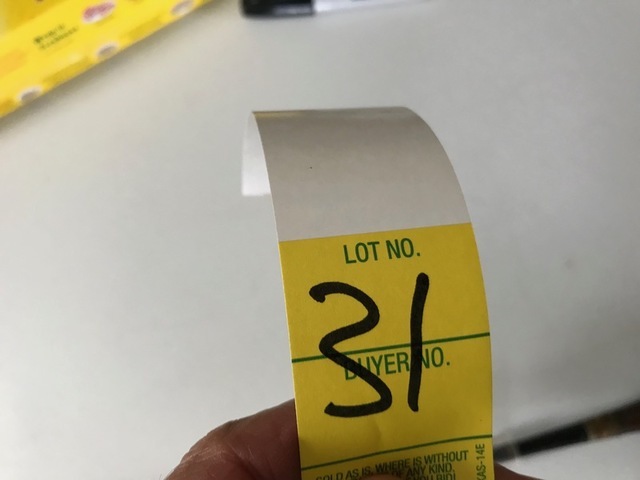 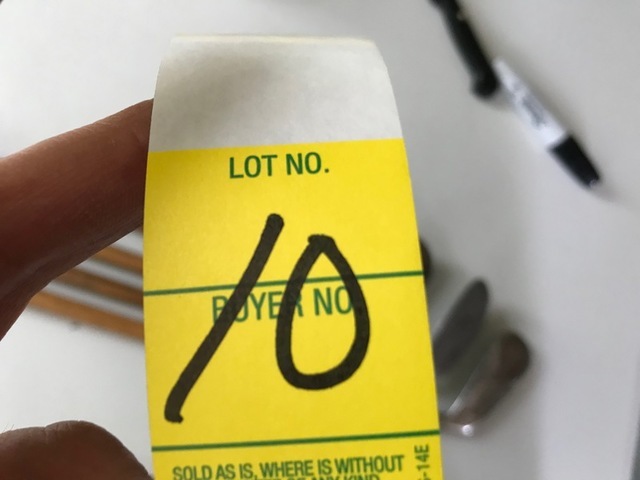 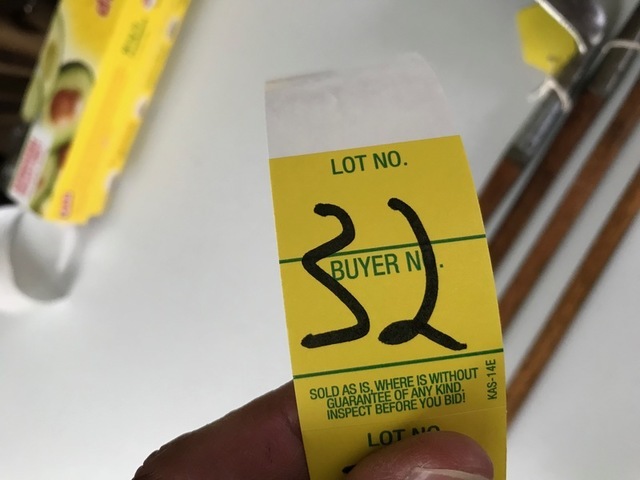 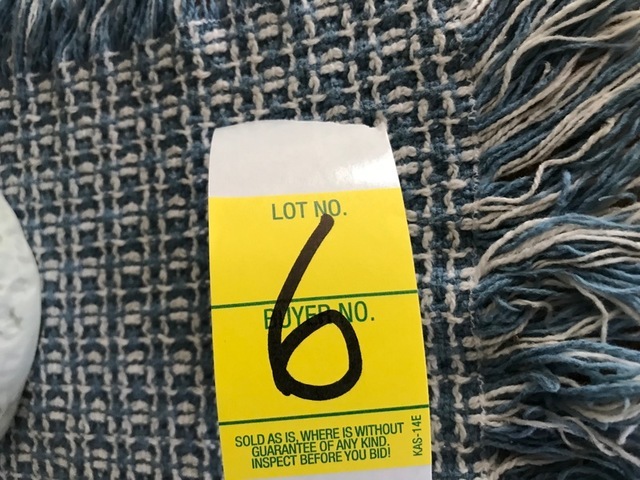 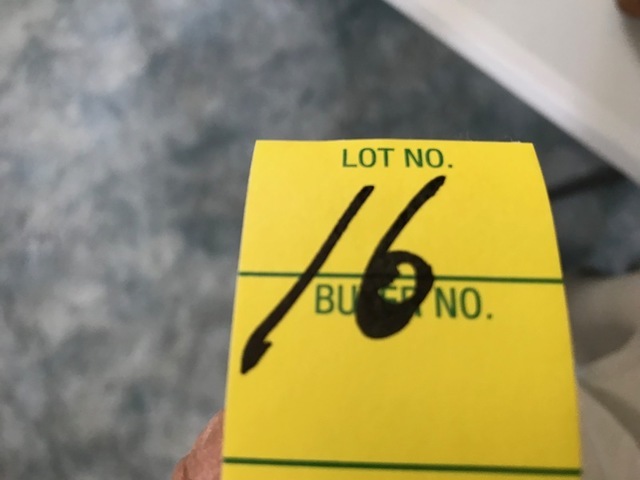 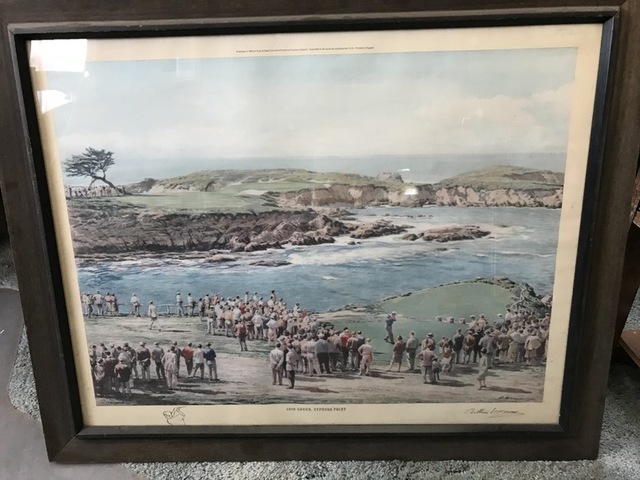 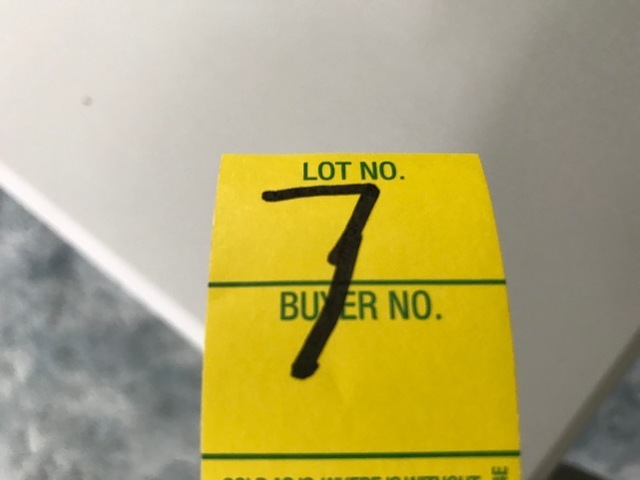 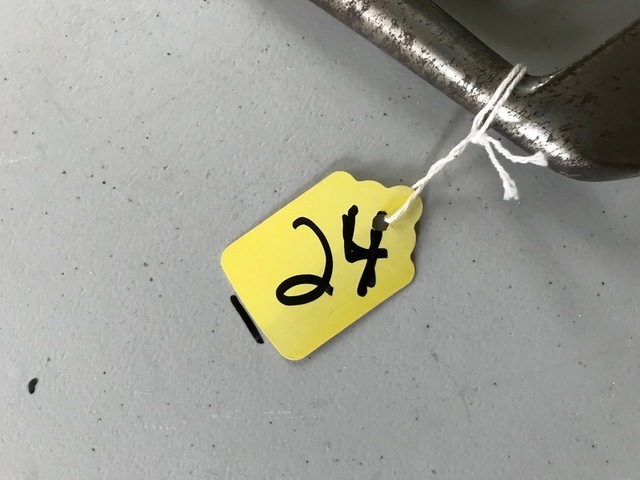 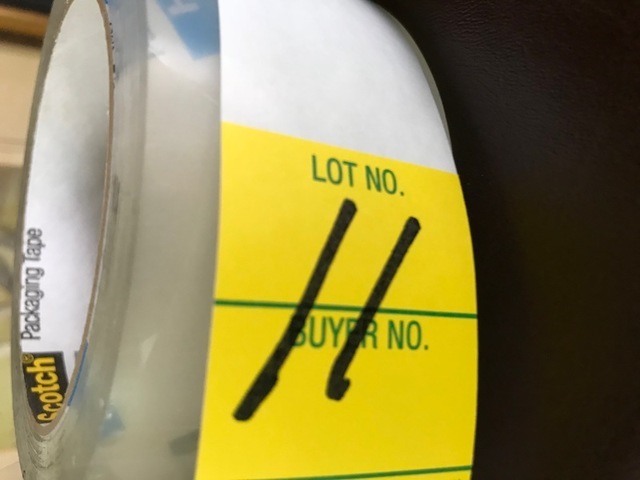 Note: This auction is part of a larger auction, the golf collection will starts being sold at approximatly 10:30am.